My son (7.5 years old) lost his upper lateral deciduous incisors more than 6 months ago. However, his permanent teeth to replace these have yet to erupt. Is this something that we should be concerned about? I should mention that my mother and a sister are each missing some of their permanent lateral incisors, but they did not lose the corresponding deciduous teeth until well past 40 years of age. Of course, an xray could help solve the question, but my wife and I would like to know if this tooth growth behavior is relatively normal or likely indicates that he is missing his permanent teeth. Hi Paul – I did some research and was unable to come up with an average amount of time that it takes for the permanent tooth to come in after the baby tooth is lost. Since the baby teeth came out on their own, I’m willing to bet that there are permanent teeth under the gums working their way out. The roots of the baby teeth are usually dissolved as the permanent tooth works its way to the surface, and this causes the baby teeth to fall out. When there aren’t any permanent teeth, the baby teeth usually can stay in the mouth for several years as you mentioned. One possibility (I’m just speculating) is that there isn’t room for the permanent lateral incisors to come in due to crowding in your son’s jaw. As you mentioned, an x-ray will be able to tell you what’s going on. Since the baby teeth did fall out on their own, I’m fairly certain that there are permanent teeth under there somewhere waiting to come out. I hope that helps – Thanks for your comment, Paul. Let me know if you have any other questions. Hi, I just wanted to add a little of my personal experience. I’m congenitally missing both of my upper lateral incisors, and my baby teeth fell out on their own. This was because as my lateral incisors were not there, my central incisors grew with a large gap between them, thus pushing out all four front baby teeth at the same time. I might be a rare case, but it is definitely possible for the baby teeth to fall out on their own and still be missing the corresponding adult teeth. As someone who didn’t get the problem corrected until late middle school, my advice to you is to get it checked as soon as possible. It was a very stressful and traumatic situation, the older I got, to be missing teeth. Hi Danielle – Thanks for sharing. What did you end up doing to replace the missing teeth? Tom, I have this problem as well. I am missing my upper right lateral incisor. My left incisor, luckily was not pointed. I got braces and eventually had all the teeth on the right side moved forward to close in the gap. It took a while, but I think it was the best solution. All of the teeth in my mouth are in fact real, and I won’t have to worry about maintenance later on in life on a tooth implant or bridge. I’m missing a canine. Do I have the same issue as you? If so, do braces do the trick? My 10yr old daughter has the same problem, and lost her baby teeth late then discovered the problem…we are now seeing an orthodontist to work toward options of correcting this, she is missing many teeth with no reason behind it. I myself and my mother are missing 4 molars, still have our baby teeth and my mother is close to 60 still with 4 baby molars. We also did not have wisdom teeth, making us missing about 8 teeth if you count those. My daughter however is a different case, missing her incisors, and several other teeth. I agree it can be a very worrisome and stressful situation and also cost a lot of money to fix! We also live in a rural area with an orthodontist without much experience in this type of case. I have a ten year old daughter who is missing multiple teeth as well. She is so self conscious already. It breaks my heart knowing what she will need to go through to replace these teeth. I am missing an upper front tooth because it never came down. It was too far up in my gums and was crowded out by all of my other teeth. It spawned a supernumerary (I think that’s the term), an extra tooth but a deformed tooth which was even further up in my gums. An oral surgeon removed both when I was 19. He said the supernumerary was nearly into my eye socket. My other teeth have moved close together and people usually can’t tell I am missing any teeth. Some have said they knew something wasn’t quite right but can’t figure it out unless I tell them. On the lighter side, my mother always used to tell me that when my older brother and I were just little kids, I knocked my brother down the stairs and he lost a baby tooth. Dentist said the permanent tooth would never come down because it had been pushed way too far up. In later years, Brother had all of his teeth and I was the one missing a tooth. Mom said that it must have been God’s way of punishing me for knocking my brother down the stairs. I thought she was serious until I was old enough to realize she was only joking. The same thing happened to me, I also have a gap between my central incisors, and I would agree with Danielle to get it corrected as soon as possible as I’m 20 and I haven’t gotten it fixed yet and it definitely gets worse as you get older. I might add that my ex husband still has a baby tooth – upper lateral incisor. Never got the permanent tooth. So my son couldn’t win, right? He has 2 teeth – one upper lateral incisor and one canine, side by side, that never came down. We tried everything. Finally the oral surgeon removed them. The roots were hooked and there was no way those teeth were ever going to come in. A shame, too, because they were beautiful teeth. He wears a partial now. My grandson’s permanent uppers didn’t come in at the same time and I worried that he, too, would be missing teeth. Then one day I saw a bit of white peeking through the gums and was never so happy to see a tooth. He seems to be getting all of his now and the gap between his front teeth is closing. I have 12 teeth that never grew out. I am 24 now and till this day i hate to smile or laugh because i have ugly teeth. On top of that the teeth that i do have are all abnormal. Can i still get my teeth fixed in my adulthood years? I am a 25 year old woman who never grew her bottom laterals, I was told as a baby my teeth did not grow until I was over a year old. I would like to know is this something that may affect my future children or does it stop at me? I found I was missing several of my permanent teeth when I was 11yrs. I’m now 43 and have 7 permanent uppers ( no wisdoms, 5 molars, 2 front incisors) and on lower, 4 molars and one canine lying on its side at front of jaw. When I was about 11 a brace was fitted to bring my front teeth together, then the milk molars were removed and a removable plate fitted with false teeth, my lower milk molars were built up and the lower milk incisors had crowns and a bridge using the crooked canine as an anchor, which I still have today. 3 years ago I had to have a full bridge fitted on the upper jaw as wearing a false plate for so many years had caused the roof of my mouth to greatly thicken and reduce the bone density, which explained why every time I had a new plate fitted it was becoming a shallower arch. I had to pay for the work myself and will soon have to find the money for work on my lower jaw as an xray showed the built up lower molars are gradually losing their roots. I have 2 boys age nearly 9 and 11 in october, who are showing signs of the same problem although my eldest luckily has all 8 incisors! My youngest is severely autistic, non-verbal, so any work he needs would need to be done under general anaesthetic, the only advantage he has is that he isn’t bothered about his appearance unlike his brother who is more selfconscious, I think we’re in for a hugely expensive future, I would like them to have implants, but this can only be done when they’ve finished growing which is about 21, the question is what to do in the meantime, i really dont want them to have false plates as it ruined my palette. Hi Paula – Your palatal problem occurred over a few decades of wearing the plate. I don’t believe too much bone would be lost if they wore a plate until they were 17-20 years old and could then get implants. 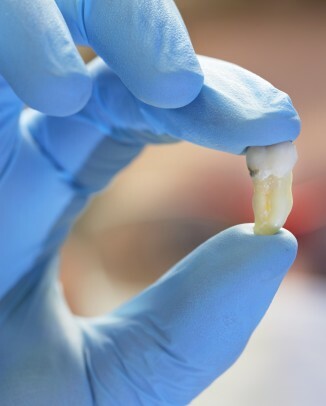 I would ask their dentist to make sure, but if they need more bone, they could most likely have a bone graft done to replace any bone where it has been lost. My daughter is 3 years old and had her first dental appointment. She lacks the lower canine baby teeth– they just never came in. She has the 4 incisors and the molars, but not the canines (she has them on the top). As a result her lower teeth are rather gappy. It seems like these are rather unusual teeth to be congenitally missing. What is the frequency of kids who lack the mandibular canines? Does this mean she will not get adult lower canine teeth either? What can be done for this condition now; in the next 10 years; and as an adolescent/adult? I am concerned that it will be traumatic for her to not have those teeth, and to have teeth spaced out, as she reaches 6,9,10,11, 12 or 13 years of age– ages where appearance gradually becomes increasingly important. I am having trouble finding any information on this problem– thanks in advance for any/all advice or comments. Have you had any feedback from any web links or professionally? I have a similar concern for my son who is nearly three. He has three out of four baby incisors. It would be great to hear if you have received any advice on whether to take action or otherwise. Hi Michelle and Ben, I’m experiencing the same problem with my 4 yr old son. He is missing his two lower front baby teeth. We took him to the dentist for X-rays and discovered he is missing the same permanent teeth. Please let me know if you discover anything more. My 3yrold doesn’t have her upper lateral incisors (the ones between pointy teeth and front ones) she has a condition called Craniosynotosis where her lambdoid suture fused too early, (back of head, she had surgery to correct it 2yrs ago) I asked the dentist if it’s linked but she said ‘it’s quite common’ they may come in with her adult teeth or they may not. I don’t really know what to make of this. Anyone have any info? My daughter has a problem slightly different than the one in the article but I couldn’t find anything about what she’s specifically going through in any of your other articles. My daughter had a molar that wasn’t erupting but could be seen in xrays. The dentist performed a procedure that he said would be no big deal but was extremely scary to my daughter, where he cut the gum (with a laser) that was covering the tooth and then proceeded to “wiggle” it to give it the idea that it needed to move. We waited a few months and saw no change. He removed a tooth that he thought may be in the way…a few more months wait, still no change. We were sent to an orthodontist to have a chain put on to pull just the one tooth down into position, but the ortho will only do it with full braces, which we can’t afford. Right now all that can be seen is a tiny bit of the biting surface of the tooth through the hole cut in her gum. I am concerned that the tooth won’t be able to be cleaned properly. What is the problem with this tooth and should we continue to keep trying to get it to come in? Thanks in advance. Hi Shelly – How old is your daughter? Have any of her other permanent teeth come in? Let me know. The best thing to do at this point for that tooth is to make sure that you are brushing back there and keeping it extremely clean. 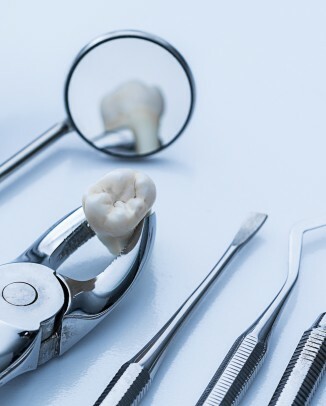 I am not certain what the problem is, but there are a variety of things that can cause a tooth to come in later than it normally would. Hi, Tom. Thanks for your reply. My daughter is 12 and the tooth in question is, I believe, called a six year molar. It has not moved AT ALL in over a year. She has all the other teeth she should for her age. I am concerned that we are putting her through a lot of procedures, causing new issues, and spending money on something that we should have just left alone. I hope the new info I provided helps to narrow down the possibilities. I am missing eight teeth and my mother is missing 11. One of my teeth is a bit misformed but the dentist fixed it by sanding it down. My mother and I needed no further treatment besides braces- although I do have several baby teeth that might have issues as I get older (I’m 35). I am not sure why my daughter has such an extreme case of missing teeth. It obviously runs in my family but 20 missing teeth just seems severe. My son only has 10 permanent teeth so he’s missing 22. I know what you’re going through. My son is now 17 and we have maintained his appearance with temporary bridges, bonding, etc. We are seeing a prosthodontist, orthodontist, and oral surgeon but the three of them have yet to come up with a real “plan.” Some of my son’s permanent teeth have grown in extremely crooked due to the fact that there’s nothing there to force them to come in the right positions. Also, with so few teeth to work with, braces can’t be used to fix the crooked permanent teeth in order to keep them because there’s just not enough teeth to cause the push/pull effect needed for braces. He only has 2 permanent teeth on the bottom so he’s going to have to have some implants put in which will be used to hold a bridge. The financial burden is extreme and I have been back and forth with both my medical and dental insurance with no success. The $2,000/year maximum on my dental insurance doesn’t go very far for my son’s issues. I always say that if he was born without an arm, medical insurance would pay for a prosthetic but apparently, the medical and dental world does not believe that teeth are essential to a healthy, happy life. Obviously, they don’t know what it’s like to be a teenager without teeth while all of your peers have beautiful smiles because all they needed were braces. I feel for you and your family and would be happy to talk if you’d like to share information. Hi there, We are in the exact same boat as you! My son who is now almost 19 found out at age 5 that he only had 10 adult teeth! Talk about a shock. We have been desperately trying to get insurance coverage for all of his dental work but to this date we have had no luck and it has hit our family very hard finacially. For the last 10 years we have done certain things to maintain a decent smile for him up until this past year when his baby teeth just got too bad. We see a Prothiodontist, Oral Surgeon and Othodontist regularly. This past January, my son had his unsavable baby teeth removed and fitted with temporary denture and flipper. Then in September he had 6 implants placed in his upper jaw to create a new smile and a bridge placed for his bottom front teeth. They will begin the reconstructive process in late december after implants have interrgrated. This has cost us so far over $12,000 and In December the reconstruction will cost a total of $29,000.I just cannot believe the dental insurance companies will not cover any other this and Medical insurance says they would expect dentures to be the answer…just terrrible! My son is now a full time college student and has really been through alot with this issue, but we will do anything to help him feel confident. It’s just what parents do…Damn the insurance companies! Can U please tell me what is happening with this process for your daughter at present?Your story sounds almost identical to my son, now 19. This congenital missing teeth issue has greatly reduced what the quality of life should be for a young person of this age. The lack of teeth have caused not only financial struggles but psychological because of poor self image and lack of confidence in himself. This lack of confidence has negatively effected his school work and believe in himself for higher education. The out of pocket expenses have been catastrophic for us to plan for with college ahead for three kids,etc. Insurance keeps offering us almost “a slap in the face” as the amount they’ll cover. Have U found anything to make this condition manageable for a family. We want to do all we can for our son. Thank you. I am only missing 18 teeth (compared to you guys that seems like nothing) I am 17 and I only found out when I was 16. Due to the amount of teeth I am missing it was classified as a cleft palate (I do not have a cleft palate nor any holes in my mouth) Because it was classified as a cleft palate the government offered to subsidized most of my treatment. Maybe something you could look into ? what did you end up doing? My daughter is 11 with 9 missing teeth , one orthodontist wants to put space maintainers in and wait to see how her jaw develops before making any reccomendations wince he is worried about affecting her skeletal jawbone structure, and the other orthodontist is sure he can fix the problem by braces for the top and what he called temporary dental implants for the bottom that he would anchor braces to and thus push all the teeth forward and together so she won’t need implants later. I’m unsure how to proceed? I am missing my upper lateral incisors. My dad is also missing his. I grew up always thinking that my parents let me pull out my adult teeth in that spot thinking that they were lose. My son is almost 7 years old and we just recently went to the dentist. I was looking at his xray’s with the technician. It was showing he only has 4 adult teeth going to come in the xray instead of six up top. I asked the dentist is it was a possibility that he was going to get my teeth. She tried saying that it looks like his incisors may be sideways, to me it looks as if there are no incisors but his canines. I will find out in 2 months at our next dental visit when they do a full smile xray exactly what’s wrong, but it was interesting. Now I believe I never had adult incisors and after looking it up obviously it’s possible. I never thought to look it up before. I never did anything to change my teeth. When I was 16 the dentist said I could get braces and put in a partial or they could file and mold my canines. I didn’t want fake teeth in my mouth nor to get rid of my canines. My canines actually take up both their space and where the incisors should be. My dad got a partial because there was more room in his mouth. It will be interesting to see if my son has the same thing. Can u please tell me what the outcome has been for your son? Any suggestions, etc. My 19 yr old son is almost identical case and we keep running up against such a wall getting any decent coverage from insurance to help our son. Thank you. I am 29 years old and have right permanent canine missing. The baby canine fell 7 years back and I never cared to get the replacement done. However now I am contemplating getting replacement done. Could you pls suggest what would be the best treatment. I would also like to add that when baby tooth fell, I could feel root of the other teeth however my doctor told that it is horizontally placed. I am 27 years old and I have know since I was about 5 that I had several congenital missing teeth. 14 to be exact. I am losing bone and it is causing me to start losing the good permanet teeth I do have. I can’t get medical insurance to help with the cost of implants and I can’t afford them on my own. Any suggestions? I’m 19 years old and my front 5 teeth on the top row are missing permanent teeth behind them, so they are still baby teeth. Eating drinking can be very painful, as they are extremely sensitive. I have been bullied almost my whole about them also. I’m British, living in the UK, but been told the NHS will not pay for implants, and I will have to go to a private clinic, which I cannot afford. Is it worth asking them about a bridge or a removable partition denture? Would the NHS be able to cover it for me? Hi I have a 26 month old. she is missing her lower right incisor and top two outside incisors. I cant find out any information about this. I really hope her permanent teeth aren’t missing. She has a small bump like chip under her chin -is it possible for the tooth to grow down as if coming out her chin. I’am 22 year old female missing my lower right secondary premolar and recently found out the root it has cracked with in the last year. Its a baby tooth with out an adult tooth under it. I hope I can get invisalign soon as it falls or gets pulled. Hi I am 22 now and when my teeth first started to come in I only had one front upper incisors. And there is no gap,my other teeth just filled in around it. When It fell out and my permanent tooth came back still just one. I have been to countless Dentists and Orthodontists and they have no idea what to do without costing a fortune. Its who I am, it’s a part of me but I want it fixed for me. Have you ever heard of this or know what the best solution would be? Hi Jessica – This can be a difficult situation to deal with. Many times when patients are missing their lateral incisors (the ones right next to your front upper middle incisor), dentists can re-shape the canines to look more like lateral incisors. This can help a great deal. With only one missing tooth, it is hard to get a symmetrical smile because you only have three incisors. The cheapest option I can think of would be to re-shape your front teeth to appear more similar to each other, but this may not be what you want since you would still have the three incisors. The best solution may be what’s already been recommended to you by orthodontists and dentists of creating space for another central incisor and getting an implant. I hope that helps, Jessica. Thanks for your comment! When I was younger, maybe 6 or 7, the dentist explained to my mom that I was missing one of my permanent teeth – one of the lower central incisors. He suggested pulling the baby tooth and allowing the other teeth to grow together. He pulled the tooth, the other teeth naturally grew together, and I have a pretty decent smile. I like having a missing tooth. It’s a nice little nugget of hidden information about me. I’m just wrote a blog post right now about early orthodontic treatment. I have three kids and early orthodontic intervention was recommended for each of them. If you’re interested, you can read about my adventures here. I am not a dental/orthodontic professional, but I have had my share of real life experience with treatments. My husband is missing his wisdom teeth and his last set of upper molars. The dentist thought my oldest was missing her upper lateral incisors, showed us the xrays to “prove” it. She really did have the teeth. We’re being told that my middle child doesn’t have upper lateral incisors. I’m not worried. If, at 15, they still aren’t there, then we’ll get implants. But only after several really good sets of xrays. Hello, I am missing both of my lateral incisors. There is no gap where they should be. The canines take the place where they should be so there are no gaps at all. I know an adult has 32 teeth in all. I don’t have my wisdom teeth yet so I should have about 28 teeth right…but since I am missing my lateral incisors I should have 26 teeth in all. I have counted multiple times and so have other people and I have 28 teeth. So my question is if I could have a duplicate set of teeth or maybe my canines and lateral incisors switched places which i don’t think is possible. I also would like to know what my options are to correct the problem and if it is something I should worry about and can be corrected. Hi, I’m congenitally missing a lower lateral incisor. I never had it as a baby tooth either. There isn’t a gap, I just have always had three on the bottom front as opposed to four. I also am missing one of my wisdom teeth. It never formed either. I’m in the process of braces and my orthodontist says I don’t need an implant. I’m worried that once everything else is where it should be, I won’t be lined up. I’m 29 yrs old, so I’m going about it late, but I don’t want all this effort and money to be wasted. Should I push the issue about an implant, or just go on without the tooth? No, it is not tramatic, I have been missing one since I was 18 and now the other one is just starting to get loose and needs to be pulled out and I am 43. I have had no replacement teeth put in yet, I have been waiting for the last one to fall out before doing this. I have had absolutely no issues except the periodic biting down on something that pokes my gum. I will have replacements put in after this one comes out and heals, which I am finally having pulled out because of the receding & pain it is causing. It’s just time for it to come out finally. Mine are the lower central incisors. I have 5 children, 3 of which have missing adult teeth… A very large number at that. My eldest is missing 14 my middle is missing 13 and my forth is missing 18.. They are all being treated for this at our local hospital in western Australia. My eldest has just had all baby teeth removed and implants put in. His treatment is in progress at this very moment as for my other 2 children with that same problem. This will also be the treatment for them once their jaws have developed enough to have it done.. I have two equally spaced incisors instead of four in the lower jaw. So there are three big gaps between lower canines. Please suggest suitable treatment. my son is 8 yrs old. he is missing his two laterals. His central inscissors pushed out all four baby teeth aswell and has a large space with 2 big teeth in the middle, all very spaced out. the orthodontist we went to suggested waiting at least 2 years until beginning treatment. does this make sense? also, we received two different opinions as to treatments, one is implants and the other is to move the canines forward. i’m stuck which way to go. do i get a 3rd opinion? also, in the meantime, my son is complaining already that kids make fun of him for his teeth a bit,. is there anything to do in hte meantime, asthetically? My daughter is 19 months old and just doesn’t have a tooth it of the incisor on the to right she had had the other one got a good 8 months and has all of her other teeth but that one and there is nothing pushing through put anything… Could this be what she has? Her dad doesn’t have canines on the top and never did… Did she get out from him? My daughter is 7 now and one of her upper lateral incisors fell out about a year ago and no permanent tooth has appeared. The other lateral incisor is now very wobbly and about to fall out so we will see if a new one comes through. Her front central teeth have spread out on the side where there is a gap and there is now a gap between her front teeth. The dentist advised to come back in a few months. I have all of my permanent teeth but my mother is missing both her lateral incisors so my guess is that it’s genetic and that my daughter will be missing both herself. My daughter is a spitting image of my mum so maybe she got lots of her genes! My question is in the uk for a 7 year old, what can be done about this, what is the best option? I have a severe fear of the dentist and don’t want to pass this on to my daughter so I don’t want her to experience any pain where she can’t be put to sleep during the process…she is currently quite happy gng to the dentist t she has never needed any work at all. I do think it is very important for her to have a full set of teeth and no gaps.. I am 9 years old.I had an infection in my first molar and got it pulled.My gums under that have been kind of squishy ever since I got the infection.I am wondering if the infection could of caused my molar not to come in because it hurt that or that I was born without the permanant molar? My daughter, now age 25, was missing 8 adult teeth around age 11. (4 wisdom, upper lateral incisors, 2 lower molars) . Because the missing teeth were balanced (4 upper/4 lower) it was possible to use orthodontics to pull all her remaining teeth forward to fill the spaces . Unless you notice that her canines are adjacent to her two front teeth, you would never know she was missing so many teeth. My 7yo daughter just had xrays of her teeth – she already has 6 erupted permanent teeth, unfortunately though it showed that she only has 11 of other permanent teeth that haven’t erupted (four of which are wisdom teeth / third molars). She also has a major over jet – Needless to say I am feeling quite confronted and apprehensive about future treatment. MY GRANDSON WHO IS 3 YRS OLD NOW IS MISSING HIS LATERAL BOTTOM INCISORS. WILL HE HAVE THE PERMANENT TEETH? HE ALSO HAS A PROBLEM WITH DROOLING. IS THIS RELATED? THANKS FOR YOUR REPLY. Hey man i have a tooth that never came in and ended up getting a fake tooth to go in it’s place, but i feel something coming in it seems like a tooth. I tried flossing whatever was in there but nothing is coming out. Is it possible that a tooth could have came in something like 5 years later? Did your tooth ever come in?? I was going through these comments and finally found someone with my exact question. I’m 28 years old. And my left permanent canine tooth (the pointy one) never came down after my baby tooth finally shattered and was pulled at 23. Its Now 5 years later and I’ve never had gotten treatment on this just have had a gap and its definitely upsetted me since when J smile there is a missing tooth. But I’ve had xrays and it showed my permanent tooth up above my gum just sitting there. I was brushing my teeth tonight and all of a sudden realized there’s a point of a tooth poking through the skin where my canine tooth should be! I’m kind of excited because what else can it be? If it came down from as far up as it was on its own I’m hoping it comes all the way down. In okay shape of course… Did your tooth ever come in Jonathan?? Maybe you won’t see this but if anyone else has had a similar experience can you let me know? Thanks a bunch! Maybe if a dentist can answer and tell me if this is at all possible that a permanent tooth has finally come down after all these years without treatment. My dentists have given me options but I chose to just use a flipper type retainer thing. Which I put in when I go out. It is a pain to eat with though because it comes out. So most of the time I’m just with this gap. But I must say I was shocked to feel and see a point of a tooth coming through my gum. And I have no pain so I’m wondering maybe my teeth finally shifted enough for it to attempt coming down. In the x-rays in the past there seemed nothing wrong with the tooth it was just hanging out up there in a normal vertical position. I had a bad accident when I was younger and flew into my parents coffee table ended up displacing my bone above my teeth, which an orthodontist snapped back into place. I always have blamed that accident on this tooth never having come down. But maybe it is now. I’m praying. !!! Thanks for anyone else’s comments. My email is bpatterson421@hotmail.com if you can’t reach me here thank you very much. I am 27 and recently lost my upper lateral incisors. I see something white where it fell out, does this means it’s my adult tooth coming in? Or is it broken? Hello, I had a congenitally missing lower incisor as a kid and still do now as an adult but no gap, teeth are perfect except I have 3 lower incisors between canines not 4. Is there some way to tell which one I am missing or would it most likley be that I only have one central on the bottom? Hello, I am 15 and my lower central incisors are milk teeth. Xrays show that my adult teeth roots are conjenitally missing. What is the best way of treatment to go by? Bridging or permanent implants? And do you recommend a specific age as one of my dentists thinks I should get it done by the age of 19 when my jaw is fully devolped while another I consulted wants to do it right away and give me braces cause he thinks my jaw line is curved? Please answer my questions, much appreciated. Hi Seb – When and if to do something depends on a lot of factors. I recently saw a man in his 40’s with his two lower baby front teeth still in. If there is nothing wrong with the two adjacent teeth, you should consider if you really want to cut down two perfectly healthy teeth to create a bridge. Implants are usually the best option if you dentist believes that you are a good candidate for them. One thing to consider with implants is that they will NOT move with braces, so it’s a good idea to have crooked teeth straightened before getting implants if the curved jaw-line is bothersome. I hope that helps! growing up i didnt see a dentst as often as i should have. i take good care of my teeth and im lucky to enjoy a healthy smile (for the most part). when i was 15 i had the first dentist visit i can remember My dentist noticed that i was missing several teeth, for a total of 27. my teeth still look normal except for 1 baby tooth in the front lower area .that i had until i was 25, i found your site because i wondered why my teeth were this way. My 12 yr old son is missing the bottom front tooth and a set of molars.Ortho recommends just moving the teeth over to fill in the space when the baby tooth falls out.Is this a good idea?Should we just go with a bridge till he can get a implant? So I’m 16 right now , and currently my upper lateral incisors is really big and won’t come out. It is hitting my central incisors which is making it crooked. Two months ago , the tip d the tooth finally showed , but it has been like that for two months and haven’t continued to slide down. With that being said , my central incisor also became a little more crooked . My 13yr old daughter has a baby molar ( third one forward from the back) that has no permanent tooth behind it. It now needs to be pulled because it is decaying. I am so confused as to what to do for her, or if anything needs to be done at all. The dentist keeps telling me that if she doesn’t have braces or an implant that her bite will get messed up which will affect her ability to chew? She has all of her permanent teeth except for the wisdom teeth(haven’t come in yet), so this one molar is the only one we are looking at that is a problem. I really don’t want to invest a lot of money in this. What do you suggest the most practical solution is to this situation? Is a spacer a possible permanent solution for her situation? Thank you for any wisdom you can shed on this! Hi Lisa – You may want to visit an orthodontist. Sometimes, depending on the spacing of her teeth, they can shift the teeth around to make her bite more normal. Getting a spacer could work temporarily until she is old enough to have an implant done. My son has three things wrong with his teeth. First of all, the mid line is off. Second, his bottom teeth suffer overcrowding. And finally, he is missing his left upper lateral incisor. Can I please get any information on how these problems can be solved. He is feeling so self-conscious and complains that he would never get a girlfriend with his teeth. I need a calculation of how much all these repairs would cost (We live in the Northeastern Area of the U.S.). And give him some advice before he starts turning his anger on everyone. Thank you! After reading the comments and treatments plans suggested, I’d like to add in my two cents. I am 17 and I am congenitally missing my left upper lateral incisor. However, my baby tooth for the upper later incisor fell out when I was about 13 even though there was nothing pushing it out. My left canine slowly moved into the empty space, however, I still had a large gap between my front teeth and space between the upper front 6. 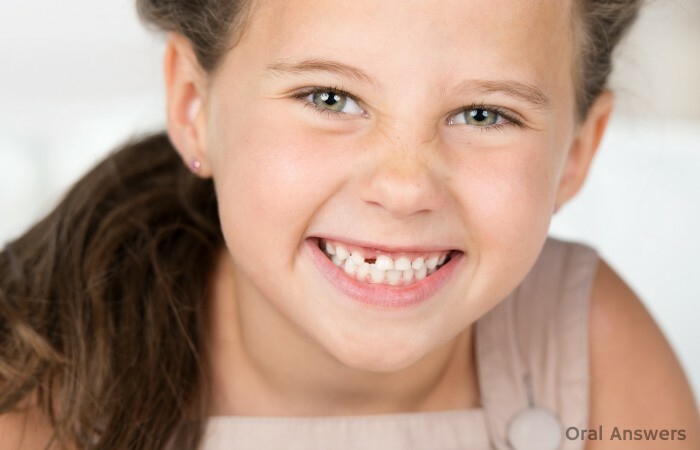 I would highly suggests you explore many of the available modern options before making a decision if one of your (our your child’s) upper later incisors are missing. In my case, my teeth are fairly small, including my canines so it was not extremely obvious that my tooth was missing other than extra space and shape of the tooth. Also, often when one lateral incisor is missing the one that is there is often either too small or peg shaped. For me, my right lateral incisor was small but not extremely. After talking to a few cosmetic dentists and an orthodontist, I decided to go for a more conservative option instead of making space and getting an implant. I got invisalign to close the extra space in the front and fix my overbite so that my left canine would take the place of the missing incisor and left molar replace the canine. However, they still were not the correct shape exactly so after almost a year of invisalign (and getting my wisdom teeth removed, ug) I got bonding to make all of them symmetric. I have been extremely happy with the results and the entire process took not even 2 years (including quite a few months of letting my teeth settle after invisalign and heal after wisdom teeth). Now, my teeth look perfectly normal and the only difference is that the gum height on my real right canine is a little higher than that of the molar disguised as a canine. So overall, definitely explore all options and talk to your dentist/orthodontist about the treatment plan in your specific case. Thanks for your insight. This information was very helpful. I am now nearly 56 years old. I have visited a dentist for the first time in my life a couple of months ago with a complain of sensitivity in the lower central incisors. He surprised me by saying that my lower central incisors are still baby teeth and have not fallen off. One of of the tooth is quite ok but the other is shaking and both are of smaller size not really visible when i smile .. As such I have no serious problems except for one of the lower central incisors shaking when I hold and shake it. Is there any simple remedy to fix the existing shaking tooth firmly for as along as possible . I am unable to bite any fruit etc with with lower incisors now. I am also 56 years old and have 2 baby teeth on the top, plus I’m missing 1 in the front in the bottom. They usually bother me if I am getting a sinus infection. The one baby tooth on the top as been getting loose for about 3-4 months and will not tighten back up. I will be getting the tooth removed next week. How did you make out with your problem. My 13 year old identical twin daughters have many teeth missing! Scarlett has 17 adult teeth missing (was missing 10 baby teeth) Sinead is missing 16 adult teeth (was missing 9 baby teeth), they only found out this morning and are besides themselves, they get a lot of grief at school for being gappy! and emotionally it really gets them down, unfortunately waiting list is really long here and they have to wait another 6 months for next appointment and are unsure what they are going to do. (I m cross it took my dentist so long to refer to maxifacial unit) but at least we on the long road now… If anyone has been through similar and has any idea of the road ahead ..especially positive things I can tell 2 hormonal self conscious teenagers I be very grateful 🙂 . I am 17 and have the same issue (18 teeth missing). I never got teased for being gappy or anything but I did feel self conscious. I will be completely honest with you when I say it is going to be hard. When I got my braces on (maybe 7 months ago) I had to have 2 baby teeth removed to make treatment easier. My braces looked a little different and I was so self conscious about them. Honestly a few people commented nasty things but that was it. The rest didn’t even notice that they were different. I think if I was a bit younger I would have been way more self conscious. Just remind them that they have teacher other, I think that will really help. On the other front this will most likely be a very long process they will most likely be getting implants but you can’t get them till you have stopped growing. Just remind them in around 10 years they will have perfect amazing teeth. I am 30 years old, had gap & had baby teeth until a year ago, (I had my two baby teeth pulled out due to various reasons. They came in where your K9s would go, but they were the two teeth that were supposed to go NEXT to your two front teeth & my K9s grew there next to my front teeth). I took matters in my own hands & had the baby teeth pulled due to their condition. I’ve had braces for about 2.5 years & now looking for consultations for implants. After $6600 in braces, now I am looking into a lot more money. And I need TWO implants. Right now I have 2 pontics on the outer part of my two front teeth & my K9s are almost in their correct position. I just wish insurance would pay for at least HALF of what it’s going to cost me for 2 implants since my 2 teeth have never grown in, aren’t in my gums, etc. My praying one day I can feel ‘normal’ & smile like there’s no tomorrow without feeling conscience. 2-3 more years to go & financially…..we’ll see. Hi Anamaria – Thanks for sharing your story. It sounds like you’re headed in the right direction. Hang in there – thanks for providing hope to others who read your words! Do you know more about the associated genes? Like what chromosome they’re on or if there’s any associated SNPs with the mutations? Hi Jamie – Luckily Google Docs still had our Dental Genetics presentation that we gave as our final project in my dental genetics class. From what we discovered, congenitally missing teeth are often associated another syndrome. When they aren’t we really don’t know too much. Most research has focused on the following genes: MSX1, PAX9, and AXIN2. From what I’ve read, experts believe that it is in a locus on chromosome 10 where most teeth development problems occur. I remember our professor (a widely respected, published dental genetics researcher) stated that there’s simply not much money to research congenitally missing teeth, so we still don’t know very much. After that I eventually received partials which is what I have in today. I always thought I was different and weird but since this is in 20% percent of adults today I feel a relief. Im in college and thinking about changing my major because I want yo study more about genetics and underdevelopment especially in why some teeth do not grow. Thanks for sharing Jackie – I’m sure you’ll love genetics, it was one of my favorite subjects – it’s always good to study something that you find interesting, it will make your job a lot more fun when you’re out working! I’m glad to learn that absence of premolar teeth is rather common than excessive teeth. My daughter is 6 y.o. and two weeks ago her dentist just realized that both upper premolar teeth are missing. She suggest we wait until she’s 18 and take an implant surgery (as you also mentioned in this article). My concern is her health until she reaches 18, I mean, would she get headache because upper and lower jaw do not align? Would it cause her lower jaw grows longer than her upper jaw? I notice that she need extra long time to chew food. Hi Amy, I would be really interested in how you found the implant process? Have you had any issues since the implant was placed? Was there a time when you couldn’t wear your prosthetic tooth due to surgery pain ect? And lastly how much time went by between the end of your braces and the implant? I have a concern for my 26 month old toddler. He has 4 teeth on the front top and three on the bottom front – then has none until one on the left and right upper gums and one tooth on the left and right lower gums – way back in the back. Should I be concerned? What should I do? Hi Thank you so much for your input, the Twins are hanging in there although Scarlett bless has lost 2 more baby front teeth and is now finding it very hard to eat. :(. They have 4 months until next appointment and that is only for photos and measurements! be beginning of next year before any work starts by the looks of it. Would really be interested in what work people have had and what it involved especially those missing many (Scarlett has 17 missing!) would help me from being so shocked if had some sort of idea,. I have a three year old son who has never gotten his lower central incisors. Wondering if anyone knows if there’s any chance of him ever getting his adult teeth. He’s seen the dentist and they wont do ex rays (understandably so) so I have no way of knowing at this point. Also, at what age is it safe to get a plate? How much damage will this do to the surrounding healthy teeth? I am worried about this for a few reasons, first it its rather difficult for him to eat many things, second I am very worried about his self-esteem, thirdly the impart on his speech, but mostly I am worried about the injuries this is causing his lips. His teeth have gone through both of his lips several times and will, I’m sure make sports and other things difficult for him to do safely. Hi, my 3 almost 4 yr old also gotten his 4 bottom along with 4 others.. I didn’t think it was a concern thought maybe he was a late bloomer but jus yesterday at the dentist he got x-ray showing no root & they said they will not be coming in calling them missing teeth.. in suppose to be going back next week for consultant appointment to see what my options are I’m so confused cause I’ve never heard of this before have so many questions & concerns they’re saying partial would be the best thing but scared of him suffering through the process.. I am missing both bottom wisdom teeth and both my upper laterial incisors…I had my second one pulled in 8th grade…wore braces and ended up doing a retainer behind my 2 front teeth and then i had the incisors implanted…I had no clue how common this was. I have 2 children ages 4 and 5 and they have a lot of dental issues, i was already told they will both be brace cases..we found out today that my 5 year old is missing 6 possibly 7 teeth…his 2 upper incisors, 1 bottom insisor, and the rest molars… he has the premolars…it is the ones after that he is missing…is it really that common for a child to be missing that many teeth?? we will find out about my 4 year old when he does his xray. I am 24 now and have a similar situation, except I am missing 9 teeth total completely and have primarily baby teeth for the rest with only a couple adult teeth. My father, uncle and grandfather all had the same problem so I was hoping it was a Y-linked abnormality. Unfortunately it seems it is not. I now have two implants on my two upper canines with a fixed bridge to fill the gap. My two front teeth were filed down to fit the bridge. I am also missing three lower incisors and have a fixed bridge running from each of my lower canines across the front. I have heard from my dentist, orthodontist and prosthodontist all, that it is common for a child to be missing 1-2 adult teeth but so far no one has seemed to have seen as many missing as I have. It is very discouraging and there is very little available research that I have found. I would be very interested in any genetic testing or therapies that anyone might know of. My nine year old daughter is missing 12 adult teeth and we’ve been told that in a year she should start orthodontia treatment to make sure the existing teeth grow in properly, allowing room for implants to be done later. Here’s my question, who do we need to petition, who do we need to start a letter writing campaign to, in order to change the insurance companies policies toward congenitally missing teeth? My heart is so sad to think of what my daughter will have to deal with over the next 10-20 years, and paying for it will be a huge burden to our family. Hi Gigi. i would love to know if you’ve found anything out. I just hung up the phone with my insurance, medical and dental, and I am shocked to learn that my insurance will only pay $1500 total for the four separate implants my daughter needs. I cannot believe this. It’s congenital! Her orthodontist has stated that it is medically necessary that these implants be done. I cannot understand how my insurance can deny this. I guess calling and complaining to the insurance commissioner would be a waste of time. My boyfriends son is 3 years old and has no permenant teeth at all just about seven babyteeth which aren’t even all out yet.he is healthy and till this day don’t know of any syndromes or medical conditions.why do u think this happened.his mother had gum disease. Hello ! I have congenitally missing upper lateral incisors teeth. I have no idea if i had baby lateral incisors, but who cares anyway. I currently have braces that i got 4 months ago. But, 3 years ago, i had braces for 3 years, but they were useless because my ” stupid ” orthodontist put the braces on my baby teeth. But now i changed the orthodontist. Anyway, my canines are right next to my central incisors, and what my orthodontist wants to do is close all the spaces ( i have spaces between my central incisors, between my canines and front teeth, and between my canines and first premolars ) and when my bite will be corrected and I will get my braces off, he will shape my canines to look like lateral incisors. He will also cut the half of my premolar ( you know when you look from the inside of your mouth, your premolars have 2 pointy sides, well he will cut the one that’s inside ) because he said when my premolars will be in the place of my canines, I will have speech difficulties and they will annoy me. My oldest and my youngest of four daughters are both missing multiple teeth. The oldest is missing a total of 14 adult teeth and the youngest has only 1 adult tooth. We just went to the dentist today to find out about the youngest. It is heart breaking to me. Sorry to hear of your sad news. How old is you youngest? What have they suggested? Which adult tooth does she have? Hello. I have one congenitally missing tooth. It’s the lower first molar. I am 27 but so far my dentist never told me that I risk losing that baby tooth. I thought it would stay forever in my mouth! But an X ray showed that apparently ‘there isn’t much root left’ and the tooth might fall/break in 2-3 years. I have to add that my winsdom tooth is trying to come out on that side and doesn’t have any space. I have just come back from a visit to the orthodentist who gave me too options:1) remove the baby tooth and wear braces on the upper and lower teeth for one and half years to push the other three teeth(the other molars + the wisdom tooth which will slowly come out when the other two are pushed towards the front), or option 2) remove the wisdom tooth, the baby tooth, and have an implant placed. I’m in a real dilemma here. Braces are expensive, not really beautiful on a 27 year old, not comfortable but they are a natural choice. A surgery to remove my wisdom tooth and to insert an implant scares me, especially since I read that there’s a risk of nerve damage. I was also told I’m too young to put an implant. I don’t know what to do! I feel betrayed by my child dentist who didn’t tell me I would have to face this decision earlier. Can you help me please? My two incisors (I think that’s what they are called) at the bottom have crowded my front tooth so that it pushed out and is loose. My dental options are few as my dental plan are extremely limited and I am now unemployed. I can probably get it extracted for little or nothing through the plan, but should I? It will likely be at least November before I can get complete dental work. Is there anything I can do in the interim? I had one of my impacted molars removed about five years ago and the other is still impacted. Could this be contributing to the problem? If it is should I have the other molar removed, too? I am in my mid-fifties. I’m a caucasion female, 21 and I have 10 congenitally missing teeth. # 5, 7, 10, 12, 20, 23, 24, 25, 26, 29. What procedure would you recommend? I’m also missing my wisdom teeth. My upper lateral incisors were missing and this was discovered when I was 10. I was given was is now referred to as a Maryland Bridge to replace the missing teeth. I was treated like a freak at school though now you would not know anything like that happened to me. The notion of my being further evolved than the other kids does appeal I’ve got to say. Always thought this anyhow. I was interested in your comment because I have a son who is missing his upper lateral incisors and is being recommended maryland bridges. Could I ask how they have worked for you? Have you had any problems with them coming out and how long did they last? My dentist seems to think they can be a long term solution and implants aren’t always necesssary. Hi, I currently have braces to make space for missing upper lateral incisors but I’m not yet old enough for implants. I was wondering what the next steps for me are and how many years it will take till i can go back to every 6 month check ups. It is a long process that can try your patience especially dealing with school. The orthodontist hasn’t been very clear so in non-dentist lingo what will happen? I have four kids. My oldest 2 (boys) are 14 and 13. They both have missing teeth: 11 and 16 respectively. We don’t know about the last two children. They are too young to tell. My husband is missing 13 teeth. I am very worried since I do not want them to be made fun of by other kids. It’s already starting. The oldest had all his baby teeth, but 11 of them do not have any permanent ones behind them. The 13 year old never had his top lateral incisors as baby teeth and is missing 14 more on top of that. They’ve already lost all the baby teeth that had permanent teeth behind them and all their permanent teeth grew in. Now what? The orthodontist said we should wait until they are 16 or so to get braces so if they loose some of the baby teeth in the process they will not loose bone mass and they could get implants later. I just don’t want them to go through most of their teenage years looking like that. Honestly, it looks like no one cares to fix their teeth. WE DO! We just can’t seem to find immediate options to better the situation. Cristina ….. we have exactly same problem I have 5 children but only my twin girls have teeth missing….17 adult teeth missing (scarlett) 16 (sinead), they are 13yrs old 14 in December. Scarlett has lost 3 front bottom baby ones already and has huge gap, 2 top teeth are adult but 7mm gap between them as missing either side she struggles to eat and it is painful sometimes, Sinead still has her baby front teeth all 4 but they only just poke above the gum line as so warn down and same gap in the top. they are so self concious .. they beautiful but its heart breaking for them as they wont smile and I watch as tears roll down their cheeks when they stand in front the mirror brushing there teeth! we seen an orthodontist who says we have to see a restorative orthodontist for him to decide what to do but they wont consider implants till 18 here! We on the waiting list be about 4-6 months I been told! they eat in a separate room at school lunchtimes as they hate being stared at as they have to break food up! I feel so helpless as a Mum I should make everything ok, The logistics of what has to be done I understand but the emotional pain my girls go through breaks my heart! Tears were rolling as I read your reply. That breaks my heart about your little girls. I was depressed for days when I found out about the boys’ condition. Ever since I’ve had my daughter I’ve been praying that at least she will have all her teeth. My husband’s sister has 12 missing teeth and has always been self conscious. As an adult she had her teeth work redone, and she’s happier now. Of course more is available now then 20 years ago. I didn’t know my husbands condition until about a year after we married. His sister told me. I guess it wasn’t that big of a deal to him and honestly I couldn’t tell. He has all but his top laterals in the front. What they did to his teeth was push them together and filled down the canines and made them look like laterals. It makes his mouth smaller and he hates to smile. To me it didn’t look that different. I guess love is blind. Haha. Just like you, I want to fix it for my kids. I don’t want them to have to suffer because of their teeth. So far it hasn’t been bad. Again, their boys and I don’t think boys care as much. But as they enter high school and start dating I want them to feel normal. I teach high school, so I know how cruel teenagers can be. I will keep posting on our progress and please do the same. I wish you the best. I hope your little princesses will realize they are beautiful still and this can be fixed with time. I keep telling myself it could be worse. At least is not something that is terminal. Hi. I have the same problem but I got given a plate (retainer) with fake teeth on it so it looked normal when I smiled. I had to take it out when I ate but still it was better than nothing. Since your daughters braces are a few years off this could be an option for you. But you will have to cover the cost and it is up to you whether or not you think it is worth it. Hello! I’m a 19 year old with congenitally missing lower central incisors. The baby teeth are still there, strong as ever, but I’m interested in getting them replaced for cosmetic purposes. When I smile naturally, you can see that the gumline does not match up with the rest of my teeth, and that the baby teeth dont quite come up to the same height as the rest of my teeth. I was wondering if this could be fixed with a crown lengthening procedure and dental caps, versus getting the two teeth replaced? I’m concerned that the roots would not go deep enough for a crown lengthening procedure. Another concern of mine is that my baby teeth are really, really small, and there definitely isn’t room for two normal-sized incisors. Last time I spoke to a dentist, about five years ago, they suggested getting braces, but I can tell you now I would rather keep these babies for the rest of my life than get braces. And overall, how much could the procedure cost? This has been very interesting reading for me. We have been trying to figure out a solution for several years. Most dentists and orthodontists think we are interesting, but they do not really know what to do. My daughter is 23 and is missing 14 teeth and the ones she has are very small. At one point the recommendation was that she get some shaved down and get a bridge. My gut told me that this was stupid to ruin some of the few teeth that she had. It is difficult to trust these guys and I worried about what the long term solution should be while we have battled the self-esteem issues. She is on her second set of braces trying to make space for 6 implants. She is old enough now for the implants. She has been wearing a flipper with teeth on it for about 6 years. This has been a long road that has cost us thousands of dollars and the final solution is still not clear. It sounds like this isn’t as rare as we thought, but the dentists don’t really know what to do. In terms of paying for it, my favorite response we got was “If she had her teeth knocked out in an accident the insurance would pay for it.” So, Tom, how can I be sure that the dentist and orthodontist really know what to do before I let them remove this set of braces? Do you recommend I get a second opinion before they remove the braces? Hi Mary – You may want to ask the dentist for before/after photos of cases he has restored with implants. Prosthodontists are specialists at replacing missing teeth, and due to the complexity of the case, it may be a good idea to have a specialist take a look. As a parent, you want to be assured of what the final outcome will be before you have your daughter undergo surgery. That is a tough response to hear from the insurance companies. It seems like that’s what most people with congenitally missing teeth have to deal with. Good luck with her treatment! Let me know if you have any other questions. I am missing of an adult or permanent tooth under my current baby tooth. It happen to be the Second Premolar. The baby tooth unfortunately is badly decayed and has already damage the nerve hence I don’t feel anything currently but dentist recommend me to pluck it out and put braces to close the gap since I have a bit of overcrowding teeth. However braces is not cheap in my country hence I was thinking of plucking out the baby tooth first in case any virus spread and affect my other teeth. My concern here is whether will my teeth that is behind the second premolar be affected, like shift out of place or crooked if there an empty slot in front? My son (15) has missing upper lateral incisors which were noticed when he went for an xray to determine why he had a space between his upper front teeth when he was 9. At that time the orthodontist’s advice was to have the baby lateral incisors removed to allow the canines to take their place. I wish I had never agreed to have this done as from reading other comments he might have held on to these baby upper lateral incisors for a long time, when they came out the roots were very long. What has happed now is that because the adult canines have taken the place of the lateral incisors there have been no teeth to push out the baby canines and he has retained these. The original plan had been to try space closure and reshaping but now the orthodontist and my dentist both feel the best way forward would be to open up the spaces and replace the upper lateral incisors with a bonded bridge. I would much prefer him to have his own teeth, but because I agreed to have his baby teeth taken out it doesnt seem to be an option any more. The orthodontist feels his baby canines would come out within the next 5 years anyway, but I’m not sure how that would be as he has no teeth to push them out. My concern with prosthesis is that they are not as strong as natural teeth. My 9 year old daughter was told she has congenitally missing teeth she is very upset over this she has alot of bad teeth as well it’s some kind of dental condition we are very upset for her and guess my question is once at an age for implants why shouldn’t her medical coverage be liable to cover this procedure seeing how she was born with these issues?We are stressed and trying to stay calm for her but yet have no solutions for her at this point.It is hard for her to eat because she has no top side teeth.I did have a subcalavien central line the whole 9 months of her pregnancy could this of cause this defect? Hello..My now 6 year old only grew 18 baby teeth she is missing 2 of her upper front teeth..one on each side of her 2 front teeth..now she has huge gaps where her 2 missing teeth and her 2 front teeth are..should I be concern since she hasn’t started losing her baby teeth and is there a chance that her adult teeth will grow in where the baby teeth didn’t???? My 14 year old daughter is missing 11 adult teeth, this includes 4 wisdom teeth. I have taken her to an Orthodontist and he would like to have 4 baby teeth pulled as part of her treatment plan. Her dentist disagrees. She thinks the Orthodontist should bring up the baby teeth and put braces on them. She said the baby teeth are healthy and the roots strong. If they are pulled, then a bone graft would be necessary for a dental implant at some point in the future. I am not sure what to do. Do you have an opinion on removing the healthy baby teeth? I do not know what is the best course of treatment for her. I’m 26 and I’m missing many of my permanent teeth. In fact I only ever developed 7 of my adult teeth and some of them are in the wrong place, or are not a “typical” tooth. They are the wrong shape according to my dentist. I have many baby teeth still hanging in there, but they are starting to get worn out, I’d guess that they simply weren’t made to last all these years. I’ve lost a few of the baby teeth as I’ve gotten older and am left with a few gaps. I’d never had insurance before so I’ve not been able to do much beyond a bonding that was done when I was about 12yrs old. I’m visiting my new dentist next week and am excited to hear what plan has been developed to fix my extensive issues! Also I’d like to mention that my mother is missing 2 of her permanents and had an Aunt on her Mother’s side that never developed any of her adult teeth. I’m just glad that I have had something to work with over the years. I have been in a 2-1/2 yr process for full mouth reconstruction due to years of damage caused by bruxism, 6 missing adult teeth and TMJ. I am in my 50s. I have had the following procedures – surgically assisted rapid palate expansion (SARPE) on the upper palate, followed by 18 mos of Ortho, followed by bone grafting in areas of the missing teeth to prep for implants, followed by the placement of four dental implants, followed by the current and final phase of crowning every tooth in my mouth to repair the decades of damage. I am working with a General Dentist, an Orthodontist, a Maxillofacial Surgeon, I have consulted with a Periodontist and I am currently working with a Prosthodontist for the final phase of crown placement. The Prosthodontist is performing the final crown work in3 phases. Front upper and lowers first. He will then move to the left side/back upper/lower and finish on the right side/back upper/lower. I am currently in temps for the front upper 6, lower front 7. I have had four iterations of fittings for the permanent crowns to evaluate color, shape, feel, bite, etc. Since my teeth have been so small from the damge caused by grinding, the appearance of the final crowns is overwhelming for me. The teeth appear large and I do not care for their shape/size, but mostly size. I am not sure how the shape/size is determined. A multitude of impressions were taken, including impressions with my temps (which do look aesthetically pleasing), but the permanent crowns do not look like the temps. Of course, I have had these discussions with the Prosthedontist, but I leave these appointments feeling like I am never going to like the outcome. The Dr. and the staff are assuring me that these permanent crowns look great, but I was expecting to look in the mirror and be overwhelmed with joy at my new smile. I am scheduled for an appt next week where the Dr. is anticipating cementing these front crowns as my permanent crowns so we can move on to the next phases. I feel I am in too deep to get other opinions. This Dr. comes very highly recommended and has a great reputation – I am not challenging his competency. I am just concerned that I have come this far and the cost will be close the $60,000 by the time I am done. I thought I would feeling elation at this point and not confusion. Is it normal to not feel like they look good when it is only one segment of the mouth? I am thinking when the rest of the teeth are completed and I see my full smile I may feel better? I am at the finish line and I don’t want to cross it – your thoughts would be appreciated. PS – this Dr. says I must be happy, but if he cements these crowns into my mouth and I am not happy, what is the recourse? What financial loss would he incur if we had to start over? How difficult is it to remove a permanently cemented crown? Do I risk damage to the ground down tooth if this has to occur? I have been missing both of my lateral incisors for my entire life (20) and I’ve never known why, I just learned today that it’s a congenial malformation, I haven’t done anything about it, but I’ve been self conscious about it and I would love to get implants or something, but my central incisors and my canines are spaced out so I would probably need braces or something first. I do have a question, would dental plans cover any of the cost because it’s a genetic thing? or not because it’s cosmetic? Hi Jenna – You would have to check with your insurance plan to be sure. The plans vary so widely that it’s really hard to tell. I would lean towards telling you that they probably won’t cover the braces or implants, but they may since it is congenital. I hope that help! What are the genetic chances of passing this condition on to children? If you were pregnant is this something that you should consider? I am still a teen and my mouth is still developing. Just today me, my family, and my new dentist discovered I have no teeth underneath both of the bottom second molars I guess. I was already extremely nervous for my braces coming soon since there is a gap in between my two front teeth but now I have to wait for my perfect teeth until I’m about 20 years old! We haven’t discovered anyone is my close family that has had this same problem. So, I guess what I’m asking is, when or if I get the implants, how often will I have to go to the dentist then? Will it be a lot more often than usual? I’m actually very nervous for my upcoming dentist appointments so I just wanted to be prepared. My 12 yr old daughter has a congenital missing lateral incisor. The corresponding one on the other side is smaller than the other teeth. Her orthodontist wants to remove the small incisor and then use braces to push the teeth together. He believes it is better than an implant. What do you think.? I am worried about removing a healthy, even though small front tooth on such a young person. My daughter is missing one of her baby teeth also. The thing that caught my attention is that this is linked to a syndrome, one being Down’s. When my daughter was pregnant with her first child she had a test done to check if the child had Down’s syndrome & she had to have it re done because it came back positive. The next came back negative and that baby is in second grade now & had been tested for early registration because her birthday is in Sept & she just seemed ready. The tests showed her to be above the above average for that age. She started school early, and does work that is above the class level. I thought it was notable considering the test results when she was being formed inside her mom. The test read “something” unusual related to Down’s syndrome, the Mom has a tooth missing which is related to a syndrome…? Is there a connection? I am missing tooth # 26. I have no empty space where this tooth should be. I have no one else in my biological family that is missing this or any tooth. Nor do I have any known syndromes. I am 43 years old and only recently found out that it is not normal to have three teeth between my bottom incisors. So, a total of five on the bottom..not counting any molars of course. I wonder how common this is??? Hi Christine – The lower lateral incisor is a pretty uncommon tooth to be missing. So uncommon that I’m not sure of any statistics on it. My dad had crowding in his teeth over 50 years ago, and the dentist ended up taking out one of his lower incisors so he only had five front teeth on the bottom. Other than that, I don’t recall ever seeing a congenitally missing lower lateral incisor in my four years of seeing patients – just the lateral incisor on the top, and the central incisor on the bottom. Thanks for your comment! I’m a 26 year old woman who’s lower lateral incisors never grew in, from what I’ve researched this particular dental problem falls in the less than three percentile. Living with this has been extremely hard and overwhelming. Between difficulty with eating, the teasing growing up, and the looks I get as an adult; life hasn’t been easy. Due to the high cost of correction and my economical situation I believe I’ll live out my life like this. I was hoping for wisdom teeth to maybe close some space but I have found out that I have no wisdom teeth forming under my gums. I was born missing one of my lower central incisors. Strangely enough, there was never a gap or empty space. My teeth grew normally, and we only noticed that I had three bottom incisors instead of four at the second dentist I went to. My little cousin has the same thing, though no one else (that I know of) in my family has that. How common is that, and especially how common is it for it to affect several people in a family? Also, how common is it for congenitally missing teeth to not leave a gap? I’m 26 years old and just found out that I am missing two of molars on the bottom. I don’t have any gaps or spaces between my teeth. I actually want to get braces because my two front teeth pert rude and twist a little. My orthodontist recommended removing two teeth at the top to have a perfect alignment. I’ve had all 4 of my wisdom teeth removed and I’m not sure how I feel about having 2 more teeth removed. My orthodontist was also very surprised to see that my bottom teeth were perfectly straight. I’m truly torn between having perfectly aligned teeth and just having them straightened and realigned accordingly. Please give me some advice. When I was 12 the dentist noticed that I had all of my adult teeth apart from my upper lateral incisors and upper canines which were still milk teeth. At the time I had never even noticed! I had x rays done and it was discovered that my lateral incisors never formed an my upper canines had formed but had gone off course and were heading towards my two front teeth so were severely crooked inside the gum. Age 13 I had an op to fit chains to my canines and then braces fitted to have the chains attached to pull the teeth through. I got my braces off at 19 and I still have my baby lateral incisors (my brace was not fitted to the baby teeth it just had those springy things to save the space). My orthodontist explained he had let me keep my baby teeth for cosmetic reasons. My teeth have all been straightened up by the braces but now I’m worried my milk teeth will fall out soon as they are obviously not as strong as my adult teeth. I can’t afford dentist and as I work and I’m now 22 I’m thinking of going to a university dentist (it’s free). I’m not keen on the idea of bridges because they would ruin my precious canines I waited 6 years for! Implants seem very invasive and I’m guessing I’d have to be gappy while preparing for them? However for now I’m ok and my teeth look alright. Reading through this thread has made me feel very normal and my heart goes out to everyone suffering from many missing teeth. My siblings and parents have no missing teeth but I think my grandad does! My siblings are lucky and have naturally straight and pretty teeth! It is a strange thing. When I see the university dentist i will be so scared but hopefully they can help. Thanks for sharing, Sophy. If you did decide on implants, you could have a “flipper” made, which is a temporary denture that would have two teeth to fill in your missing lateral incisors on each side. Good luck! At the age of 3 my daughter had 3 teeth pulled, 6 capped and about 9sealed. After doing X-rays, we found out she has no adult teeth on her entire upper left side. I know missing teeth is more common but never have I read, seen or heard of a whole side. We are still looking a solution since she will be 5 next month and starting school. Any help is appreciated!!! I agree with Deborah. Once I found out I was missing teeth I was contacted by a professor and discovered my Orthodontic and Prosthodontic (implants) work would be free. I think all up I have had to pay a total of $300 which isn’t bad at all. I have had braces on for nearly 2 years and I will be getting around 10 implants (I am missing 18 teeth) Although unlike your daughter my mouth is symmetrical. I still have a large amount of my baby teeth even though I am 19 but with braces it isn’t too noticeable and their isn’t too many gaps. I had taken good care of my teeth to ensure I held on to them for as long as possible. As your daughter is only young does she still have her baby teeth? Because this can be a solution for the time being just let them be, normally children have gaps and spaces in their teeth because they are growing. However I understand you want to be prepared for the time when she has no teeth left on one side as it will effect her daily life. Many children with missing teeth have dentures or removable bridges but when worn for extended periods of time this can damage the surrounding adult teeth. I would highly suggest getting a number of profession opinions. Unfortunately the teeth that were pulled were all on the side with the missing teeth. What was pulled was more of a shell of a tooth, they were rotting away and hurting her. She had two teeth capped with a space maintainer in between for the last two years, but in the last couple months she has lost the space maintainer and one of the capped teeth. I will definitely look into talking to the university’s dental program. We live by the University of Minnesota and I know they have a great medical center so pray they have dental too. Thank you for your input!!!!! I’m sorry to hear about this Monica. It sounds like you’re being assertive and looking for all of the options to help your daughter. Usually this can be solved with an appliance, or more ideally, dental implants when she gets older. Here is the website for the University of Minnesota School of Dentistry. Omg! My only advice to you would be to go to an academic center your state university’s dental school as they might have access to orthodontic case histories such as yours or maybe she can be part if a study and whatever orthodontic work needs to be done might get covered or greatly reduced. I was missing some teeth ,i also have a condition where my milk teeth did not want to fall out on their own,they needed extractions .During this process the dentist decided to leave in two pre molar milk teeth to leave the gap filled.this was about 13 years ago im 26 now and still have those two baby teeth and neither have needed fillings or have shown signs of being weaker then adult teeth. Wow, am I ever glad in found this forum- I thought I was the only one. I am 23 now but when I was starting orthodontic treatment (about age 10) I learnt that I was missing two upper teeth, both on the left side, all wisdom teeth and it was clear that my upper front 6 teeth were grossly undersized. First I started with braces to evenly space out my smaller teeth (Purposely create equally spaced gaps) and leave space for a fake tooth later on (only 1 needed, the even gaps filled the space of the second missing tooth). When the braces came off I got Lumoners (not sure of the spelling, but basically less invasive veneers) and a Marilyn bridge for one missing tooth. Just last week I finished the process by getting a dental implant where the Marilyn bridge was. I am very happy with the results. The implant wasn’t painful at all (lots of freezing, then 1 day of pain pills) and the Lumoners fill the spaces/ gaps in and look completely natural (biggest complaint about Lumoners is that it makes the teeth look to big- not a problem for me). I actually get complements on my teeth! Though, not a cheap or easy way of achieving this. My daughter is now 14 and she has 5 missing upper teeth. 3 on the right and 2 on the left of the two permanent front teeth. She has has the 5 baby teeth though, i hope these baby teeth will last many years into adulthood. problem now is the baby teeth have lower gum line than the gum line of the two front teeth so they look like kinda small and short ( like half the height of the front teeth). What can do be done? I am so worried about the treatments she has to undergo to correct this problem. She is quite conscious and is afraid to smile. Hi Susan – Many times these baby teeth can be built up with tooth-colored filling material to look like adult teeth. The goal is to get them to last into adulthood, then if needed, implants can be done. Hi. My daughter is now 14 and she has 5 missing upper teeth. 3 on the right and 2 on the left of the two permanent front teeth. She has has the 5 baby teeth though, i hope these baby teeth will last many years into adulthood. problem now is the baby teeth have lower gum line than the gum line of the two front teeth so they look like kinda small and short ( like half the height of the front teeth). What can do be done? I am so worried about the treatments she has to undergo to correct this problem. She is quite conscious and is afraid to smile. It breaks my heart that she has to go through this. I am 38 years old and during childhood I lost the upper lateral incisors, the same as my brother did when he was a similar age. Apparently my Dad had small upper lateral incisors. I had bridges put in and I assumed that was that. Then, when I was in my early 30’s one of my bottom molars became loose (4th tooth away from the 2 at the front), I had an x-ray and there was no adult tooth to come through. Recently the mirror opposite of that tooth has now become loose so I guess only a matter of time before that comes out. So my teeth aren’t exactly great now. Implants are so costly at £1500 a tooth, I live in England and I just wish that implants could be subsidised through the NHS as although I want to improve my teeth for cosmetic reasons, it was through genetics that I didn’t get them in the first place! I am 25 years old and in my child hood I have 3 tooth in lower including lateral and central incisors. But after the milk tooth gone in left of lower lateral incisor a twin teeth is developed along with central incisors and right lower lateral incisor. That is in the place of 3 there developed 5 including one twin. The problem is that this tooth are pushing my upper lateral incisors out wards. I want to know that can I correct the position of upper lateral incisors . And also I want to know whether it is hereditary because I am carrying and what precautions need I take if my baby will develop such kind of teeth. Hi, I am 16 years old and up until four years ago I was a very happy, confident and outgoing person! I had perfect teeth. I hadn’t realised that both my teeth on each side of my front had not fallen out and adult teeth had not grown until I was 12 when they fell out and no teeth grew down. When I was 13 I got braces, I got them off when i was 14 and a half. The braces were to make room for implants and bridges. After I got my braces off I got two bridges in my mouth which I still have now. The bridges do not look natural, they are small in size they do not fit in well with my teeth. Ever since this happened to me I lost all my confidence, my personality, I can’t laugh with my mouth open, I can’t smile it has ruined my teenage years. I would never wish this on anyone. Over the past 4 years I have seen some very dark days, I just want to end and want to be happy again, when can I get implants, what is the next step? please help!! I was told when your face stopped shifting- so around18 but that they can be done younger, around 16 if you check to make sure that your growth plates have closed. Keep fighting, soon you will have implants and a beautiful smile. Hey! I’m now almost 24 years old and I am missing my upper lateral incisors too! When I was in 7th grade I had braces put on which made the gap between my teeth (where he incisors should be) even larger and I was even more self-conscious, although I was still always very outgoing. Freshman year of high school, about halfway through, I got my braces taken off and a retainer replaced them with two fake teeth attached to it! It made my day and I was so confident, I was stuck with a permanent smile on my face for months! That was when I was 14. Like I said, I am now almost 24 and still wear that same retainer to this day. Now I am embarrassed all over again. I have a bit of a baby face and add a retainer to that and I’m constantly being mistaken for someone still in high school. Being 23 and finishing college and working a respectable job, it’s very hard for me to feel like I’m being taken seriously since I’m still wearing my retainer. I totally get what you’re going through, but I can tell you that most people don’t even notice I have fake teeth on my retainer. So, even though you think your bridges look funny, I’d be willing to bet that most other people don’t even know the difference. I am constantly shocked when people I’ve known for years don’t know I have fake teeth, but they assure me that they just couldn’t tell that they were fake, even though to me it’s extremely obvious. So, try not to let that ruin the rest of high school for you, because you’ll look back and realize that you wished you never let it hold you back! Good luck! P.S. It is best to wait for implants until you’re at least 18 because your jaw has to be finished forming before they can do them otherwise you risk other complications. My daughter is 31 months and is missing both upper laterals within this last week we can see white under the gum where the lateral should be. Could this men she may get it? Hello, I have a permanent baby tooth, a lower bicuspid. It’s been filled previously because of a cavity. I had a dentist recommend that eventually it be removed and replaced with an implant. All of my research is showing no mention of what to do if this tooth is a lower bicuspid versus a molar. I am 27 years old. Any thoughts? I am 36 and i still have all my baby teeth except 4,2 are missing and 2 are permanent. My sister has the same problem but wasnt as lucky as my self to still have her baby teeth still . we both got the only two same permanent teeth but she now has an uncomfortable bridge on the top. and I am slowly beginning to notice the back teeth are deteriorating and its really starting to freak me out.I do know that the government has an obligation to provide proper care and solution to our problem because what we have is not cosmetic and wondering if perhaps anyone knows the right people to contact with out going in circles, which is all we have done so far. Many of my female family members have the lateral incisors missing and this causes them to have a large gap in many cases. Some of them have a gap without the missing teeth. I am 65 and I was missing 5 permanent teeth. I found out when I was 12. My case was sent to UCLA for consult. I live one hour away from their lab, so commute was out of the question for my family, and I don’t know if they performed the work for anyone back then. I was missing the canine teeth and teeth just behind them. I also had protrusion so I got braces on my teeth when I was 14. They pulled the canine teeth before they placed the bands on. All my teeth were banded. They pulled my teeth straight back leaving equal space on each side. Result was not enough room for an actual replacement on either side. They put bands back on when I was 16 +1/2 . I graduated with them still on. They moved the teeth to the side with the most permanent teeth. I got married 6 months later and the dentist made a flipper with one tooth for me as a wedding gift. I got my partial plate on that side 2 years later. By this time the area had healed from an extraction that needed to be done in preparation to replace the tooth removed previously. I still had one tooth on the other side that was a baby tooth. It got loose when I was 30, it had only one root left and it sunk down when I bit down on it. It was pulled then, and replaced a few months later. I had smaller than normal size teeth, so my partial plates had to be attached to 2 teeth on each side of the replacement, for each partial plate. All of this amounted to most of the teeth on the top. My partial plate placed when I was 21 or so failed in 2006 – quite a long time to remain intact. It is holding up well now. I had to have my other side replaced 2 years later. For the most part I have been OK with all of the procedures and results. I had no idea this was so widespread across populations. My oldest sister had one tooth missing also. In addition I have three 2nd cousins who are missing one to three teeth. I also was bringing the fact of congenital defect to try getting more help from the Dental Insurance. They countered and offered 20%. I feel for those who have so few teeth as some of the ones posted here. I am pleased to have this forum to read and post for information. Oh and thank you Tom for your responses as I was able to answer many of my own questions. My daughter is 8 and is missing her permanent upper laterals and canines on both sides (4teeth). She has a substantial gap between her two front teeth and the baby lateral and canines next to them are super small. As many kids her age don’t have braces yet and are in all different stages of losing teeth, it’s not that big of an issue yet. However, I do see this becoming obvious and difficult for her emotionally in the next year or two. The baby teeth have shallow roots -so I am afraid to put braces on her. I have been told the longer she keeps those teeth the better to avoid bone loss. I would have preferred to get a retainer with teeth on it for her and to close up the space in the middle, but not if it means she will have trouble with implants later. Any advice on what can be done cosmetically? One dentist suggested I try to build up the lateral incisors, but someone else said that might destabilize the tooth. Any advice on what to do until she is grown and can get implants? Soo a tooth came in frnt of my premolar and dentist said it will take place of my milk pre molar and today when i was seeing in the mirror and moving my pre molar i saw another tooth under it? i two teeth coming out! And my canine have not fallen out and my pre molars are wobbling! I am 54 years old and missing my upper lateral incisors. I have very sharp canines and have always been self conscious of my smile. I have 2 sons and both have extra teeth. My oldest son had what the dentist called odontomas (sacks of dental material that will continue to grow and disfigure) that blocked his permanent front teeth but due to a fall our dentist discovered this at age 2 and surgical intervention lessen the impact of the problem to slightly crooked teeth with an overbite. He is severely autistic and would not tolerate braces. He also has extra molars in his jaw that I hope will not cause problems and an extra fang like tooth behind his lower front teeth that erupted less than 2 years ago. My youngest son had an extra fang like tooth blocking a permanent front tooth that caused other teeth to grow into the wrong places leaving no room for the blocked tooth. After thousand of dollars of braces and 2 surgeries he is now 14 years old with beautiful teeth and I hope there are no more hiding teeth in his future. What I would like to know is why I am missing teeth have children with extra teeth? My son is 20 months old And it’s looking like he will not have his 4 bottom front teeth. We had an X-ray done and it didn’t show anything. My wife father was also born without teeth so we’re thinking it might be genetic. My question is when should we think about implants and should we have a bridge put there to keep a healthy jaw? Or will it matter ? I’m worried that his jaw my grow differently without the teeth. Is that something we should be concerned about or will he be fine ? I’m missing my lower middle tooth, because it’s tiny,an implant isn’t possible… So the option iv been given is to go in for a bridge… I’m a little concerned about it because it would affect the two adjoining teeth… Is there any other option ? I am 41 years old. I learned from the dentist 2 years ago that don’t have top teeth #7 & #10. I have my two from teeth and my incisors next to them. Why in the world did that happen? I also have what my mom describes as a short jaw line. My last wisdom tooth took years to show forth and when it did, it was partially under molar #2. Just strange. I was missing both of my lateral incisors. My sister was missing one. This comes from my mother’s side of the family. My baby teeth fell out and were replaced by my adult canine teeth. I had braces twice to not only move the canine teeth, but also their roots to the proper place while wearing a removable “flipper” with false teeth on it. Then, I joined the US Air Force. While in the Air Force, I had dental implants put in. Before the implants, I suffered from the roof of my mouth being very tender from the flipper as well as being very self conscious in times where I could not wear the flipper. Dental implants is quite a process, but it was well worth it. Another option I thin is called a “Maryland Bridge”??? best wishes to all. Im 26. i had 4 baby teeth with no adult tooth. 2 yrs ago i had one pulled due to a cavity. a couple days ago i pulled the second out because it was loose. i still have two more baby teeth. i have not done anything to full the gaps. after a while and healing the gaps become very small and barely noticeable. i am the only person in my family who has this problem. reading this article its pretty common but a couple dentists i been to look at me like im a monster n call other dentists in asking me why i still have baby teeth with no adult teeth in my xrays..because of this reason i hate going to the dentist. Found out two weeks ago that my daughter has Regional Odontodysplasia. Has anyone heard of this or know someone with it? Just trying to find anyone else to talk to about it. We have since had a retainer with teeth placed in it for her. But looking for anyone with success stories from it! My 12 yr. old is missing 10 teeth congenitally!! Obviously his wisdom teeth account for 4 of them. But it’s pretty scary when your kid’s mouth is such a challenge that he leaves the orthodontist saying “Hmmmm….” and scratching his head. I completely understand. My 8 year old daughter is missing 4 teeth and they are all on top in front. She has two front teeth – then lateral incisors and canines missing on either side. Her baby teeth are SUPER small and have shallow roots so will not likely stay, and won’t likely be able to be built up to look normal until we can do implants. I’m in fact finding mode right now. We will probably end up with a flipper until she turns 18 and she can get implants. All those implants are painful and costly. Praying we don’t have to do bone grafts that will just make things harder. I’m told it’s not that uncommon to be missing teeth but dentists/orthodontists don’t seem to have a lot of experience with multiple teeth missing. Hopefully your sons roots are good and he can keep his baby teeth for awhile. My sister is only missing one permanent tooth – but she still has her baby tooth and she is 50! If he can hold them, you can do implants over time. Good luck! I am 21 years old and I’m missing both of my upper lateral incisors. I have one of my baby teeth and the other fell out. Now I have an empty space between and my smile looks ridiculous. Please help me I’m dessperate. My 17 year old son fell down a few steps when he was 18 months old and popped out two of his bottom front teeth. At that time the pediatric dentist found that he was missing 5 permanent teeth. When he was about 5, that same dentist told me to sit down, I did and he told me that my son was missing 13 permanent teeth, 4 of which were his wisdom teeth (I guess there is a bit of a blessing in this story). No one in my family or my husband’s is missing adult teeth however Jack was on intravenous antibiotics for the first 14 days of his life and I have read that this could be the culprit. When Jack was in 5th grade my pediatric dentist recommended an orthodontist who felt it was time to put braces on Jack’s tops teeth only. This orthodontist came highly recommended so we went along with what he said. He said he was closing up the gap between Jack’s front two upper teeth and getting the teeth on top aligned. The bottom teeth were also an issue but he didn’t seem to be dealing with that. Jack wore the braces for two years and then he took them off and gave him a retainer. So my 7th grader was supposed to wear his retainer at night but during the night he was removing it without knowing it and in turn I didn’t know it either. Over time the teeth shifted and the orthodontist put the braces back on. I kept asking him what his plan was, who his team was but he really wasn’t able to tell me. He was not involving other dentists, periodontists, prosthodontists and I started getting worried. Besides that, I also wanted him to put a denture on the braces so that Jack would have teeth on the bottom front. He said he didn’t do that. So my frustration was increasing and I told my dentist to call him and find out what his plan was. My dentist called him and did not get a very satisfactory answer and told me to go see another local orthodontist. He had read in a dental journal that this new ortho and his team just helped a girl that was missing 15 teeth. We went to see him when Jack was a freshman and he said the braces have to go back on (third time now) because he need to get the teeth in the proper position so that they can plan for bridges and implants. Finally we have a plan. He brought in a dentist and a periodontist and he was able to put some teeth on the new braces so my son finally had teeth in the front: first time since he was 18 months old. Needless to say I am so disappointed in this first ortho, I feel like he took us for a ride but even more, I am disappointed in myself for letting him waste our time and money for YEARS !!! We are in a very good place right now. The braces are off (after 4 years) and the teeth are in proper position to accept 6 implants (retainers are holding the places right now because Jack is still too young for implants) and we will be having one bridge made for the bottom front because he needs teeth there and we don’t want to wait until he is 21 or so. The other factor is that there is almost no bone in the front bottom because he has not had teeth there for 16 years, a few bone grafts would be needed and I just don’t want him to have to go through that. He will have to have a graft done for the upper teeth into the sinus but that should be it. It has been a long road but I finally feel like we have a great team of doctors who truly care about my son. I am telling you my story because I don’t want another parent and child to go through what we went through. If you feel that something just isn’t right, speak up, ask questions and demand answers. I didn’t and I so wish I did. We have to be our own advocates. my daughters incisors came out in August 2014. She is 11 years old. As yet they have not grown. An xray at the dentist shows that she has no adult incisors and that cannines are showing under the gum. Her baby cannines are now loose and ready to come out. What options do we have for the gaps in the front. She is now getting upset as she is in HIgh School and becoming conscious of having gaps in her teeth. My dentist says that we have to wait until all her baby teeth have come out before any options can be discussed, but she still has at least another 6 baby teeth to come out. How do I say this politely? You need a new dentist. First, you may want to find a reputable orthodontist -and ask him/her who they like as far as dentists go. Your new dentist/ orthodontist will be a team – they can make a retainer with false teeth on them. This helps cosmetically, but more importantly it will maintain the space in her mouth for implants later in life (around age 18 when jaw stops growing). You must maintain the space. You may want to consult an oral surgeon as well to pull down the canines. You will eventually need an oral surgeon for implants later anyway so good to start with a consult on the canines. Implants are the best way to go because it’s the closest thing to real teeth. I am not a dentist – but I have many in my family. I also have had the benefit of an excellent team working with my daughter who is missing her permanent lateral incisors and canines (her baby teeth still there for now). I have met with both orthodontists and oral surgeon to understand treatment plan ahead, and for them to monitor my daughter as she ages (she is 8). Hope this helps. It sounds like your dentist is giving you terrible advice. I would find someone new right away. Thank you for your advice. I am currently in the process of speaking to another dentist/orthodontist who also specialises in implants. He will do a complete mouth x-ray to check if there are any other gaps in her teeth. She has got a back baby tooth which has never developed properly – I was informed this was due to me being so poorly during pregnancy, but I’m beginning to worry now. I’m 18 years old by the age 9 only 3 baby teeth fallen out and they grew back. I recently in the past 2 years had 2 teeth pulled but no adult tooth was there to grow back. I have over 14 teeth that will not have an adult tooth take its place obviously I grew up hating my smile because I have to big adult teeth right in the middle and then little teeth all around it. My baby teeth hurt me it’s hard to take care of them it hurts to brush and even floss them. I want to have a smile I always wanted but need to know the steps to take and where to go for the help. I have Kentucky Passport insurance and no primary dentist. Please help ! Hi, when I was 11 my mom decided I needed braces. My right upper lateral incisor never grew. My orthodontist said that he is going to take the braces off so I could go get my left upper lateral incisor out, since my other one didn’t grow. He wanted to take that out and push forwored the two canines so they would be next to the two front teeth. Later he said that I should fill in the two canines so they could look like the upper lateral incisors. All in all I feel like my smile is not perfect. That they never should have taken out the right lateral incisor , and just waited till I grew up, and replaced the one that was missing with an implant instead of pulling the other upper right lateral incisor out. When I smile it the canines are filled so the look like the lateral incisors, but to me it doesn’t look right. I’m supposed to have 6 teeth in the front and I have four. The orthodontist said he needed to take it out because I would have 3 big teeth. The two front and one lateral incisor. I am now 30 years old, and I think he made a wrong choice and that I was to young to even realize what they where doing. I just don’t understand when they pulled that tooth out that was health and had no problem why my mom didn’t say wait this is not the best choice. I belive they made a fast solution and just did it so I would have braces and Dinah the process quicker. Then wait until my jaw grow and place an implant. Please let me know what you think? And what can I do now. I am currently wearing braces due to overcrowding of the bottom arch and misaligned top teeth. I have a missing top canine and no adult tooth to replace it. My question is, can braces be used to shift all of my back teeth forward to fill the gap? If so how long would it take and what would it involve. My dentist has suggested a Maryland bridge to fill the gap as I cannot afford an implant at the present, however I have read that these are troublesome and fall off a lot. My replacement for canine tooth was attached to my two front teeth on that side. The front of the Maryland Bridge was a double abutment as it was my own and the back had holes drilled in to accommodate pins to anchor the added canine. Then two teeth in back as connected crowns to anchor with that canine from both directions. It kept forming a gap between the two front teeth and the backing of the Maryland Bridge. The Dentist kept putting some filler in the area. Eventually I bit down on something hard and my front tooth broke in half. Then the Dentist had to replace the whole bridge. He did the replacement out of his pocket since it had failed. UCLA was involved in the design. I thought it would work out OK, but did not. The temporary tooth on a rooftop piece was a good temporary tooth and that is what I would recommend until an implant would be possible. I had my orthodontics in the late 1960’s so there were no implants available for me. Keep your teeth intact as much as possible and don’t have the Maryland Bridge since you are near to age to get implant. Hang in there, everything will be OK.
I’m 17 years old and I have missing lateral insicors. I wanted to get my front teeth pulled together and get a resin bonded bridge to fix my teeth. My question was how long would it roughly take to have the braces and the placement of the teeth done? Because I wanted to know if I could have them off before going to boot camp in the navy or if I would have to wait till afterwards. Hi. My 14 year old daughter is waiting to see a consultant at the dental hospital as they have discovered she is missing 9 adult teeth plus her wisdom teeth making it 13 in total. We have been told by our dentist that they are teeth 4&5 both sides upper and lower and the hospital are looking at aliment and false teeth. My daughter is deviated as she said implants at present cost 2-3k per tooth and with a hefty bill of almost 20k it may not be possible. Can you tell me whether the treatment ahead will be tough on her and if the likelihood of a grant when she gets to 18 if we both work would be likely? Our dentist said it’s very rare to have so many missing as it’s not in the family but reading these comments it doesn’t sound too rare? I am a 25yr old girl, missing upper lateral incisors. I have already started orthodontic treatment to provide enough space for implantation. I was wondering if you could inform me about the rate of success and to be more precise,the maintenance of implanted teeth. How can I keep them for the longest time? I am missing both my upper lateral incisors. My father is also missing one of his, he still has his baby tooth in his late 50s. I had my baby teeth removed at 12. I had to wait a year for natural shifting to take place and then I had braces for 18 months to push my other teeth forward. My eye teeth were filed to make them appear more like an incisor. It sort of works, but I think it’s a bit noticeable. It’s better than a crown or an implant. My husband is missing teeth from a bike accident and he constantly has problems with his implants and bridge. hello i am 21 years old and one of my upper lateral tooth came out when i was chewing a bubblegum that was hard. what do i do about it?? My baby teeth were normal. However, my adult teeth number only 24. 12 upper and 12 lower. I was wondering if it is a genetic defect or ethnic in nature. You are not able to get implants until your jaw stops growing, so around age 18. You will need to maintain the space in your childs mouth so that you will be able to do implants most effectively. The best thing to do, considering her age is have false teeth made that will be put onto a retainer. You should really speak to an orthodontist though. This will be your most important move until she is ready for implants at 18. Be forewarned, she will likely need bone grafts as well at that time. Get your bank account ready. By the way, I am in the same situation – which is why I have this information for you. Unfortunately, my daughter is also missing her canines. You should never go back to the dentist that put caps on your daughters teeth, that is absolutely the most ridiculous thing. Find someone more knowledgeable about missing teeth. Make sure you are working with a team of professionals, hopefully they have done this before. We were given the run around by an orthodontist in Morristown NJ that just took our money, not once but twice without ever having a plan for my sons mouth. We went to see an orthodontist in Wayne NJ who had just worked with his team to help a girl who was missing 16 teeth. We worked with this orthodontist, a wonderful dentist and an amazing Periodontist who specialized in implants and bone grafts. My son will need bone grafts and a few implants as well as a large bridge in the lower front. Save your money now as these are all very expensive procedures and insurance covers very little if anything. But these wonderful doctors are all working as a team for my son. We are now in a place where we are waiting for his jaw to stop growing (he is 18, boys take longer) so he can prepare for implants. I am not sure where you are located but if you need names I can get you names of these doctors but I would be leary to have your 6 year old start wearing retainers with teeth. 6 year olds are missing many teeth naturally but as she gets older she will want teeth and then you can work with an orthodontist to get that for her. My son was lucky as many of his 13 missing teeth were on the bottom, they were not seen. I think your childs are missing on the top. Good luck Nickie. I also live in NJ (Union County) and we just found out daughter is missing two teeth. Would you be willing to share the names of the dental team members you liked and disliked? I really want to be sure we have a full plan of action since this is going to be a years long process. She is only 9 now so I think we need an ortho who will handle her braces knowing that we need to make room for implants once her jaw stops growing. I am having headache most often.i have congenitally two missing inner teeth and i feel pain at that points the teeth is missing.Am 34 years old.is this abnormality the cause of my headache? what is the solution so that i will have my teeth complete. I am having headache most often.i have congenitally two missing inner teeth and i feel pain at that points the teeth is missing.Am 34 years old.is this abnormality the cause of my headache? what is the solution so that i will have my teeth complete.Pls help me. My daughter was missing the tooth next to the front tooth. She needed braces for her bite so they pulled the baby tooth out and put a fake tooth into the braces so the other teeth would not move into that spot. After the braces were removed, she wore a retainer that also had a fake tooth in it. Trust me, she never forgot to wear her retainer. Around age 20, she had a butterfly bridge put in. Her other teeth were perfect and it would have been a shame to file down two perfectly good teeth to fill the space. She has had the butterfly bridge for 20 years with no problems. Today the suggestion would more than likely be to have an inplant, but this has and continues to serve her well. When I went to the orthodontist to get braces when I was 14, he informed me that I was missing both of my lateral inscisers but there is no gap where they should have been it goes straight to canine teeth, he has said he will file them down to look less pointy but I am wondering whether or not I should get them filed to look like my missing lateral teeth? My son who is now 25 is missing almost all of his teeth. He was diagnosed at around 3 years old by a dentist doing a routine exam. He called me back and said I don’t know how to tell you this but your son is missing all his permanent teeth and when his baby teeth fall out the other ones won’t come in. The teeth he did have were shaped funny (round like toothpicks) He is now wearing partials and has lost all bone in his lower jaw, so implants would cost us around $40,000 because he would have to have bone removed from his hip and placed in his jaw. He is a handsome guy but is really self conscious about his smile. Insurance won’t cover anything because they consider it cosmetic. He is serving our Country in Kuwait in the Army now and was hoping the Military would help but they won’t either. I have always been missing my upper lateral incisors. (Baby and adult). A different experience to other’s I’ve seen here is that even with missing teeth my jaw was crowded, to the point my adult canines came in significantly higher on my gum as there was no room. When I was 9 I had a temporary one plate to try and make room for them and while it helped slightly When I ended up with braces I had a permanent plate for almost 12 moths to make enough room in my jaw. My six year old daughter, almost seven, has just been to the dentist and an x-ray was taken but when the dentist looked at the x-ray the said that she could only see two big lower teeth waiting to come out and no more! We are now very worried and concerned, thinking that she could possibly have Oligodontia. My question to you is: should the big teeth all be seen as this stage in the x-ray waiting to come out, or is there a possibility that they will only develop and be seen at a later stage? We have no history of this in our family and our daughter is otherwise healthy. Please help! We first learned that my daughter (8) was missing 4 teeth on the top (two teeth on either side of her two front teeth missing – the lateral incisors and canines) when she was 6. My daughter started losing molars that you should not lose until you are age 10-12 so they took an x-ray. That is when we saw that her teeth were missing. I have some missing teeth in my family, but it’s usually 1 or 2 – and usually in the back so this was a shock. We were told that at age 6 the x-ray may not be that clear. However, if you ONLY see two adult teeth on that x-ray, it doesn’t look that great that the photo is simply unclear. There may be some teeth in the roof of her mouth, or some teeth you are not seeing well because she is a bit young to get an x-ray – but odds are not good for finding a lot of teeth. Was this a panoramic x-ray? If not, don’t worry much yet. Get that done. No matter what, you should go see another dentist, a specialist. Find out what is going on for sure and establish a plan. There are things you can do so that your daughter is not walking around without teeth. Once you have a plan, you will feel better. Good luck! My 2 year old daughter is missing her top 2 lateral incisors. They just never showed. She has been to the dentist once and I was told if they don’t come in by the time she is 25 months (she is) that they won’t be coming in at all. She is due to go back to her dentist in a few months but I’m just wondering what her options are. I realize she could care less about whether she has those 2 teeth or not and it’s really just bugging me, but I’m still desperately curious to know if she is going to have to go on for years without those 2 teeth. Especially since no baby teeth means no adult teeth to follow. Will she be able to get a partial or something of the sort at her age? No decent dentist would give a baby or small child implants. Implants are only done when the child/jaw stops growing. Age 16 would even be early. There are things that can be done when the child becomes school age that can help cosmetically and to hold space (I.e retainer w/teeth on it). That said, I’m not clear on what is missing. You say there are 2 teeth on bottom. Are you saying baby teeth are there? Bottom line is that no x-ray at that age can properly show you what adult teeth exist your baby’s mouth. You can get a proper panoramic x-ray at age 6-7, not before then. Mouth too small you can’t really see what is going on. If it’s just baby teeth missing, that’s a shame and may be a bit awkward, but not nearly as bad as missing permanent teeth. Trust me when I say there is no way a dentist could say permanent teeth are missing at age 1. PLUS, what the heck was that dentist doing x-raying a 1year old baby??? Go to another dentist right away. Please. My 13 year old is missing his right lateral incisor. I never grew any wisdom teeth but all my other teeth are perfect. Could this be the reason why he is affected this way? I have a congenitally missing upper left lateral incisor, but the baby tooth hasn’t fallen out/been extracted yet. However, the lateral incisor does protrude, and the canine adjacent to it is turned in a little bit. Is straightening the crooked canine before getting an implant necessary or can I just get an implant without going through the braces treatment to align them again? Hi I have two of the bottom middle/front teeth missing. They look the same and no one notices and I tell people and they are confused. Should my ortho bother doing anything I think they look fine. I’m 11. Toni, I replied but looks like it stuck to another post. Read recents. Good luck. I think it is much too early to begin. Your baby’s mouth will change too much along the years. The implants that would fit now, will be much too small in the adult years. This is a difficult case. Spacers unless cemented in would be a hazard as the baby might choke on it. I just found out today at the dentist that my 3 year old is missing one of his lower incisor teeth. He has 3 evenly spaced teeth on the bottom instead of 4. I am hopeful that the adult teeth will come in with all 4, or continue to be evenly spaced so it isn’t noticeable. don’t know if anyone still checks this thread but i just found it & thought i would throw my two cents in. i am missing both of my upper maxillary lateral incisors. i had the baby teeth, one fell out & the other was removed by my dad who was a dentist (i still have it!). the adult teeth never came in. i was fitted with braces which filled in the spaces and my canine teeth were filed down so they don’t look pointy. this left lots of room for my upper wisdom teeth to come in without any problems. my smile looks perfectly normal. i’m glad i didn’t have to go through having implants put in. as for my bottom wisdom teeth, they never came in – one is missing & the other is laterally embedded & has never given me any trouble. I still get notifications about this thread in my e-mail. Steph, you are a true success story. Since your Dad is a Dentist, he was much help to you. He looked at the whole overall picture. It turned out perfect for you. My son is 10 and I was just told he is missing 15 adult teeth. I am sad, worried and shocked. He recently had a dental appointment where they pulled two molars saying they had small cavities between them and his adult teeth would come in. Several months with nothing they took X-rays again and told me this news. He has alarmed gap between front teeth which I have mr ruined to the dentist who said we would address this later when his teeth come in. How can a dentist be so blind or ignorant, I am heartbroken and very worried. The cost of braces and dental implants when my son is in his 20’s I doubt I will be able to afford. My daughter who is now 16 and I were both born to have only 1 front upper tooth. I was adopted so do not know much biological history. We both had only one front baby tooth as well as adult tooth. When I was adopted at 7, I had braces put on years later to move teeth to make room for another front tooth. Orthodontist didn’t know too much about things like that back then so mine didn’t work out. My daughter had braces & had her teeth moved in preparation for another front tooth. She has a retainer with a tooth in it that is clear and covers her other teeth. When she is 18 or so we will do an implant on her. We are very pleased with her Orthodontist & his work. Just wondering how common this is and if it is genetic. Ok here we go. I have read most of the wonderful reviews on missing teeth which makes me have a better understanding as a worried mother. My 9 year old daughter is seeing the dentist and orthodontist for regular check ups as she has six teeth missing and 2 front to be corrected from thumb sucking which we’re trying to stop – o/wise a plate will be given. She has 4 at the top two at front and two at the back. Also 2 at the bottom either side at the back. To add to it now, she has what is called a sunken tooth bottom left which the dentist said about extraction, (which I had once and not a very nice experience). Suggested to see orthodontist first which we are today. For my daughter it scares me for her what she is going to have to go through and not really understand. A brace to correct two front teeth, implants as too much of a gap to push together ( 18yrs). Obviously as any parent you want the best for your child and to have the lovely smile, We’re worried about the cost and stress it will cause her in years to come and now sunken tooth extraction !!!! Any additional advice please? My daughter is 3 we recently took a pano on her because she never got 1 of her Upper Lateral Incisors and one of her lower lateral incisors. On the pano she is missing bothe upper lateral incisors one lower incisor and a few of her second premolars I thin one is there her second molars are not formed yet nor are her wisdom teeth she is not Down syndrome and me and her father are missing any teeth why do you think she is missing so many and what could of caused this? My daughter whom is 5 has lost both top front teeth. The first one about 5 months ago. When it fell out it was just a huge gaping hole. Still no tooth in sight. The hole has grown shut. Now today 5/23/16 the other front tooth came out after being loose for about a month, again just a big hole. No permanent tooth in sight. Should we be worried? My son is 35 years old and only has 6 permanent teeth. Over the years we have sat before many insurance boards trying, in vain, to have the problem fixed. No one is willing to pay any benefits, but having teeth is VITAL to your over-all health and well-being. And it is so expensive to pay for it yourself! Any suggestions or experience with this? To be clear up front, I am not a dentist or an expert. I have a child with missing teeth and have done lots of research. I also have dentists in my family (that I have not asked about your question). I have been told that to prepare for implants in the future, we will need to maintain space in my daughters mouth for the teeth until she is ready for the implants when she is done growing. If you do not have room for an implant, it seems to me that you could have some orthodonture to expand the space and get an implant. That may not have been suggested to you because it will likely take longer and may cost more (I don’t know). Or maybe your dentist just wanted all of the money (and not share it with orthodontist). Personally, I would get a few opinions before I let anyone file down my teeth. You can’t reverse that. I have missing upper lateral incisors, as does my father. My baby teeth fell out naturally and the missing teeth just never grew. This left me with my two front teeth, then canines, which left me looking a bit vampire – ish! At about 16 I had the ‘fangs’ filed down but that didn’t look great. Then at 21 I had two crowns fitted by a different dentist. I’m now 49, still have those same crowns which look brilliant. A great improvement. Hi! My 8 year old daughter is missing her adult LOWER RIGHT CENTRAL tooth. She still has her baby tooth and no tooth has formed below it. We saw an orthodontist that wants us to get the baby tooth pulled and let the other teeth just fill in the gap – no implants or spacers. This seems very strange to me. She is also missing her bottom 12 year old molars, so I can’t imagine she has enough teeth to help fill this gap. Have you ever heard of pulling a tooth in the front but not replacing it? Don’t let him pull it out! This will just look weird. Know that this tooth may never fall out. My sister is 52 and still has 2 baby teeth. As she gets older, depending on how deep the roots are/how firmly in place you could just build the tooth up to make it a similar size to the tooth next to it. It may very well be that she will lose the tooth at some point (my daughter is 9 and is missing 4 teeth; she still has all of these baby teeth) but don’t make the decision yet. Wait for that to happen. Implants are expensive, but the best option (especially because this is a front tooth). You can’t do that until you finish growing so age 16-18. If you don’t want to pay the money, then I guess you could try that orthodontists option but it seems weird to me. My front bottom tooth didn’t grow in so I decided with my dentist that I get a Maryland bridge. It looks and feels great. I have a lot more self confidence now. I had four baby molars that never formed permanent teeth underneath or so they thought. I had these all removed over time and had bridges put in place which I have been losing recently. They had to pull number 12 and 14 as a result of bad bridge placement and upon doing the xray discovered a new artifact which appears to be a permanent tooth now formed in my jaw above where the baby molar had been removed. I am almost 50 years old and spoke with my mother who said they discovered just recently she had also formed her permanents but they are sideways and they are leaving them in since they do not bother her. Since I had these two teeth removed two weeks ago my jaw and ear have been hurting when i turn my h ead and I keep getting stabbing pains. Is this from the new tooth and will it come down? Is it normal to get a 12 year old molar at 50? Will my other molars form or have to be removed? 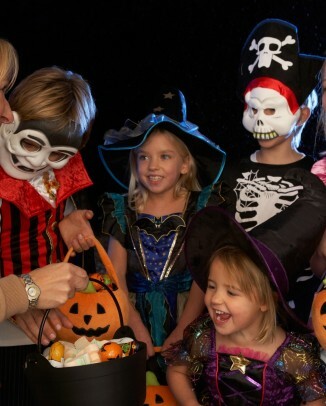 Have you had full x-rays to determine all those teeth are truly missing? My 2 year old has only 10 teeth come in. She has upper central incisors, lower central and lateral incisors and 4 molars. Her first tooth did not show up till she was 14 months old. Could it be that she is teething super slowly? We showed her to a pediatric dentist, who think she may be missing her upper lateral incisors. But did not want to take an xray since she is too young. No one in my family has a history of missing teeth. I am super stressed out, not know what is inside her mouth. Can her teeth just take long to come in? Try to create space with the braces so the tooth will come down. If you pull it, your smile will never be symmetrical without your dentist altering the shape of other teeth (which never looks as good). .You are lucky if you have that tooth -if it does exist. Most people on this blog have missing teeth and are trying to figure out how to best make their smile “normal” without those teeth -usually with implants, bridge etc. I am 42 years old and still have my deciduous second pre-molars. Every time I get x-rays my dentist is amazed they are still holding on as he says there are no roots left. They are not even loose. However they are smaller and a much darker color, and the gums are slightly more receded above them. Since they are further back in my mouth I have opted not to do anything and my dentist never suggested it either. At what point should I consider getting them pulled? Elyn, since when I lost my only remaining baby tooth I was 30, I thought I would tell you . . . The only reason I had mine pulled, was because one of the roots had completely dissolved and every time I bit down it hurt. That would be a good time to have a tooth pulled. I am a Prosthodontist in Honolulu, HI and I would like to compliment you on this great web site and the clear explanation you have give to the issue of missing teeth. It covers all the possibilities and is a great service to those who need this kind of dental information. Thank you for taking the time and making the effort to help educate all of us. My son is ten years old. His baby teeth didn’t come in until he was nearly a year old. When they did, he was missing his biscupids. 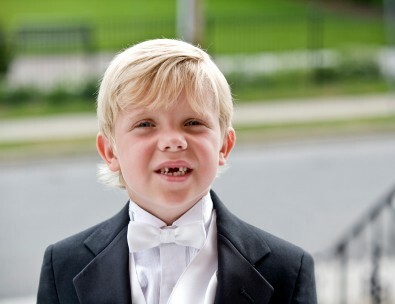 He started losing his baby teeth at the age of nine. They basically came out all within two months time. The adult teeth are coming in well, but there are still no biscupids. He has been checked and they aren’t in there. I plan on getting him implants when his jaw is no longer growing. In the meantime, I have to feed him foods that he can eat without “biting into”. My question is, how unusual is this, and do you have any further advice for us? We live in a rural area and the dentists here say that they haven’t seen this before. Thanks for your time. I am a 62-year old woman and I’ve been told by a few dentists that my bite is “very bad”: I am congenitally missing an upper incisor and one dentist felt that this was the problem. 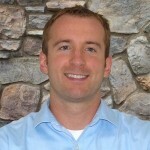 He strongly recommended braces (orthodontic work) and then an implant or bridge for the missing tooth. The model of my mouth tells him that the left upper side of my dental arch is caving in, which is making problems for my jaw. I have jaw pain. I also have cracked 4 teeth, though I’ve been wearing a night guard for 32 years. I am scared of orthodontic work, at my age: and the orthodontist that this dentist sent me to said that he did not recommend braces at my age. I now live outside the USA, in Israel, and the dentists, here, do not believe in orthodontic work. Can you shed any light on this siutation? I am trying to reach out to Harper who posted on 11/14/16. I’m facing a similar situation and would like to reach out to you with questions. I am missing both my baby and adult upper lateral incisors, as well as two adult lower molars (same ones on each side). Because I have a small jaw and never had the baby incisors, my orthodontist didn’t have to do much to correct gaps. My biggest problem now is that one of the baby molars I still had crumbled and had to be removed, leaving a big gap, and the other one has always been impacted. Eventually, it too will get too old probably break. These are/were right where I do most of my chewing. At some point in time, I will need expensive dental work…but I’m hoping it’s not for a few years yet. My orthodontist was of the school of thought that it’s an evolutionary thing. He also said he sees more girls than boys with this mutation. Hi I will be 30 next year. I only ever had 24 teeth. 10 became adult teeth. I have 8 baby teeth left at the back and have had the other removed and replaced with a lower and upper denture. My second teeth that did come through all came through pointed at the bottoms of them. I was offered implants when I was 16 but refused them as it seemed like a long process in my case which was unlikely to work as I have the jaw line of a small child. 2 of my siblings have the same problems but on a much littler scale than I. I have struggled my whole life to accept my smile. I should feel grateful I have teeth for now that my dentures can attach too. Hi , I am a 55yr old female just looking for reasons as to why I still have … almost all my baby teeth as has my sibling .. he has his removed and replaced with a plate of false teeth ? With our mother and prenatal care ? Malabsorption of nutrients ? If genentics , it’s skipped our children ! My son is missing 8 adult teeth, two of which are his adult canines. The dentist also said he has taurodontism in his back molars. He also has feet that are growing up in the arch vs. out. We are trying to find an underlying syndrome for this. Any ideas on what could cause missing adult canines in a child with no family history of missing teeth? I am missing my top right incisor. It never developed as a baby or permanent tooth. And I have a large space between my two front teeth because of the incisor missing. This actually runs in my family. My cousin, great aunt, and great great uncle r also all missing the same tooth. How ever they r all missing both top incisors, I am the only one missing just one top incisor. All of our missing incisors never formed as baby or permanent teeth, and we all had some gaps between our other teeth because of it. How ever when my family’s wisdom teeth came in, instead of having them removed they kept them in, and the wisdom teeth pushed the rest of the teeth together and got rid of the gaps. I have all four of my wisdom teeth in now, two of which r only half way in, and am hoping they will do the same to my teeth. Hi all, my 9-yr. old daughter has no adult lateral teeth. Her K9s have what they seem to think a cyst around them and are coming in crooked. They want to pull her baby lateral and baby k9s (all 4 at once) add anchors to the k9s to straighten them out and pull them down and then braces. I feel like this is excessive as I read that some people with no adult teeth keep their baby teeth long into adulthood. I don’t want to put her through all this and we will be getting a second opinion. Has anyone else experienced anything like this? Thanks. Hi! Im a interesting case i have oligodontia ! I had 16 baby teeth removed when i was 21 and am now left with only my front 12 teeth that are very very small adult teeth. Found your artical very interesting thanks! Nice to find an article about this. I have had problems with this also. Missing 4 in back of one side and 3 in back of other side of lower jaw. and also taking bone from the back of each side and placing it in implant area. work. I got the bridges instead. Now one 4 unit bridge is failing…not enough bone to get implants. old cantilever bridge on top right. I have anxiety whenever I go to the dentist…and worry about the bone loss in the lower left. Not sure what else could be done at this point. It is nice to know other people have similar problems…as I know of no one else who has this. My daughter didn’t get her first teeth until she was about 10 months. Her two year-old molars didn’t appear until she was 2 y 9 m old. At that point, she was still missing both upper lateral incisors. Her front teeth spread out, and she had a big space in front. Just after turning age 6, in addition to the 6 year old molars, she also began cutting one of her permanent lateral incisors! Her dentist was completely shocked at her next checkup when she saw that tooth erupting. Dentist said she had never seen that before: a child not having a baby tooth come in but yet having the adult tooth grow in later. My question is: How unusual is it for that to happen, and is there still a possibility of the other adult lateral incisor to come in? Both of her front teeth are the permanent teeth. It’s been awhile since she’s lost any baby teeth/gained adult teeth. Kaiti is almost age 9 (her b-day is in November). She has a new dentist, and he is recommending a frenulectomy so her front teeth will be able to be closer together when she gets braces when she turns 12. There is a very simple answer to this question. Get a full panoramic x-ray. That will tell you what teeth your daughter has that are yet to come in. It may be that some are up in the palette and can be moved down. You won’t know anything without an x-ray. Have you met with an orthodontist yet? Why are you waiting until she turns 12 for braces? Your daughter has a complicated mouth. You should figure out what’s going on, and you may need to start braces a whole lot sooner. It doesn’t really make sense to put her through a frenulectomy just to move teeth together for braces, seems like you should just get the braces. I would definitely get a 2nd opinion. A frenulectomy should only be done if that piece of skin is what is causing the teeth to be further separated. If it is not what is causing it, then removing it will not move any teeth together. Good luck! Get that panoramic x-ray! Hi Susan. My son is 11 and missing 10 adult teeth, with a few other adult teeth not 100% formed. We are in the process now of working on a plan with a cosmetic dentist (for veneers after braces), orthodontist, etc for the medium term, with a implants and a full set of veneers after he is 18. My question is: WHY? We have no family history and my other 3 (younger than he is) children have all their teeth. I was low thyroid during pregnancy (didn’t find out and treat until 3rd trimester) and it seems to have caused a few minor developmental delays in speech, fine motor, etc. Could this be related? I read that the adult tooth portion of development happens in the end of 1st trimester and beginning of 2nd. Hello, I just realized my daughter is missing her bottom permanent first molar teeth. What’s the population of that? Also, her relatives, me, and her dad never had that type of problem. Why? Will braces help? Thanks for the advice! Hello! My son is almost 11 and he still has two baby teeth on the front bottom. There are no adult teeth underneath. We were hoping that he would keep these baby teeth until he stops growing. Now, one of the baby teeth is loose and barely handing on. If he loses this tooth and we have the other front baby pulled, could braces possibly be used to pull his other adult teeth to the front to fill in these spaces or to “Take the place” of his missing permanent teeth? Thanks! You could do that, but it will look weird and change his bite. The optimal solution is to get him braces that make space for permanent teeth when he stops growing (implants). They can put plastic teeth (look real) into the braces for aesthetics and to help maintain space. Go to an orthodontist for advice. I have a lower inscisor that never came in. The orthodontist told me that they were going to pull my baby tooth and then place a bridge. They pulled the baby tooth. However, he kept forgetting I was missing that tooth and just pushed all of my teeth together with the braces. Hi I have a 4 year old daughter (she is a fraternal twin) have two baby teeth on the bottom i believe the are the lateral incisors that just never grew. What is the likly treatment that will have to happen to correct this and the cost? Your daughter is too young for an x-ray I believe, and the baby teeth should not be too much of a worry. When she is a bit older, you can get an X-ray and see if the teeth are there but impacted or missing. Kids start losing their teeth between kindergarten and 2nd grade usually. Your only concern should be if there are missing grown up teeth. You would not fix missing baby teeth (so no cost) unless they were impacted and causing pain. You should ask your dentist (I am not a dentist) about this for confirmation. Cosmetically, all kids start losing teeth like crazy around age 6-7 so your child will not look out of place. I have only 17 teeth, only having one extraction. I have a baby tooth at the front of my bottom teeth and my father was almost the same having two baby teeth in the same place.There are large gaps between my teeth which makes me feel embarrassed. I had many xrays growing up which completely put me off going to a dentist.